Here at Tellest, we’re committed to bringing you the best fantasy stories that we can. That includes helping you along the way to find other great talents and their works of passion. Over the past year, we’ve managed to work with dozens of authors in our Otherworld segments. These authors might have fantasy tales that closely mimic that what you see in Tellest, or they might be as far beyond as the stars themselves. But what they all have in common is that they were written specifically with fans of the genre in mind. These writers deserve your attention, for if you’re here, you’re looking for your next great read. Below, you’ll see a list of headings that will lead you directly to each of the sub-genres that we’ve slotted these stories into. Some of them may need refinement as time goes on, but we hope that we’re able to tell you enough about them to pique your interest. Clicking on the covers will bring you to each story’s Amazon page, where you’ll be able to see blurbs for the individual works. We truly hope you find your next favorite story right here! 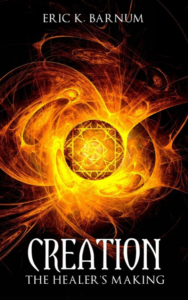 Creation I – Tales of Goodly Might bundles four of Eric K. Barnum’s novellas. The Healer’s Making, The Temple of the Golden Serpent, The Blue Sun Staff and Everyday Angels are fantastic reads on their own, and they’re even better as part of this collection. Not only are they entertaining reads, but they help you understand the mechanics and lore of Barnum’s impressive world. We’ve showcased Barnum’s work many times before, including the novellas in this set. There’s good reason for that as well: the author is one of the best and brightest in the genre, and he has a passion for his world that you don’t see to this level too often. His lore is tremendous, his world-building is vast and his prose is perfectly balanced—not too dry and not too flowery. If you want to get a lot of bang for your buck, and you’re interested in seeing what Barnum is capable of, there’s perhaps no better ebook suited for you than Creation I – Tales of Goodly Might. Check it out on Amazon today! Barnum has a magical touch when it comes to talking about his stories and developing his world. The Forsaken Isles is in such good hands, and it’s an awesome opportunity to go back to it often as a reader. Barnum takes good care of his series, and his fans, making sure that there’s tons of content, with more always on the way. Everyday Angels, the fourth book in the Creation subseries, is like the cherry on top. It brings together a bunch of threads and lore from earlier stories, and wraps it all up with a bow. 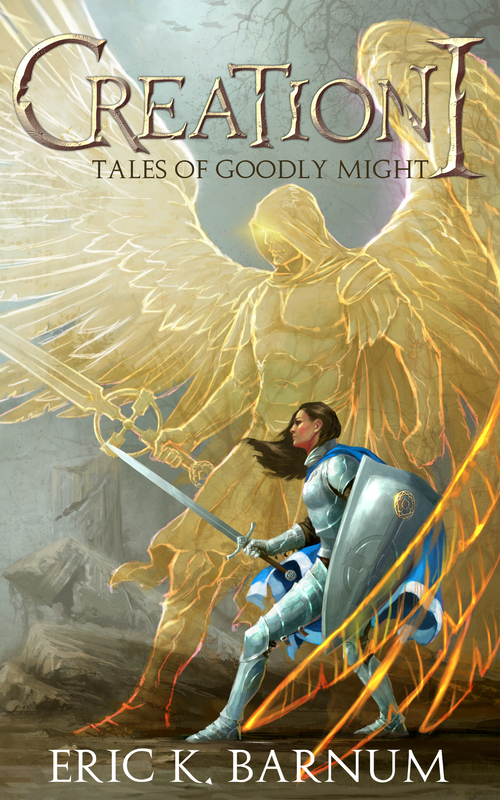 Everyday Angels follows a paladin on what seems like any other day of his life. The introduction to the tale seems academic and based heavily in building up the lore of the Forsaken Isles. But the story quickly ramps up into stunning action when a threat of utmost power comes down on his order. Holy power from a celestial companion, as well as some unexpected allies and an insane foe make this a breathtaking entry in Barnum’s Creation series. Don’t take my word for it though. Check out Everyday Angels on Amazon today! In Eric K. Barnum’s latest work, The Temple of the Golden Serpent, he ventures into a new part of the Forsaken Isles. A new continent takes center stage, and you get to follow along with a battle priest named Jerranic as he deals with various faiths in the world. Barnum is known for subverting expectations and stepping around common tropes, and if that’s the kind of fantasy you’re interesting in reading, he certainly does not disappoint. 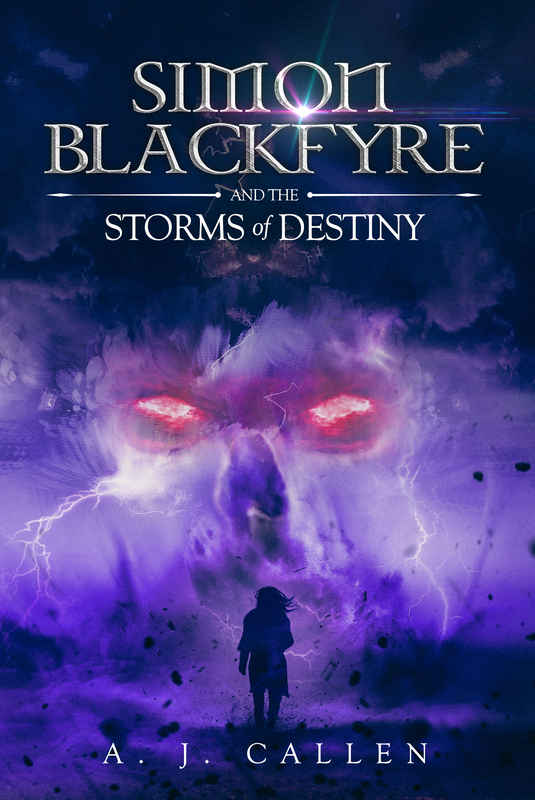 He also continues along with his generous world-building, using this story to develop the Forsaken Isles further while still delivering a complete package that revolves around new thrills and drama. There has never been a better time to become an Eric K. Barnum fan. With five full books out, as well as two novellas, and more on the way all the time, this author truly takes care of his world, and his readers. The Temple of the Golden Serpent is striking and eye-opening, delivering the same great content we’ve come to expect from Barnum, while surprising you along those twists and turns he takes you down. You’ll love this book for how rich and deep its content is, and it’ll have you yearning for more before it’s done. Pick up The Temple of the Golden Serpent on Amazon today! Barnum is a phenomenal writer, and if you haven’t yet had an experience with him yet, these Creation novellas are lovely little bite-sized introductions to his writing style, as well as the Forsaken Isles universe. It wouldn’t be a reach to think that once you’ve tried one, you’ll be anxious to dive into the rest of the series. For now, though, why not start off with this interesting piece? 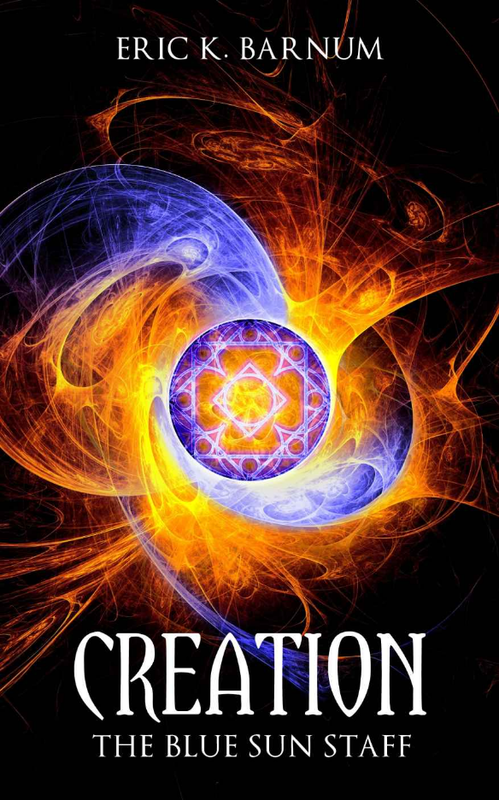 Check out Creation: The Blue Sun Staff on Amazon today! Even though it’s shorter fare, it’s not lighter by any means. Barnum comes out swinging and delivers a compelling story that you can’t get enough of. The best news is that you don’t necessarily have to. More of these novellas are on their way in the months to come. For now, get started with this first book. Check out The Healer’s Making on Amazon today. the thieves work their craft. Barnum is an author to watch out for. His writing gets better and better with every book that he writes, and he puts out books like a fiend. His literary work ethic is incredible, and you can feel the passion with which he writes for the Forsaken Isles. 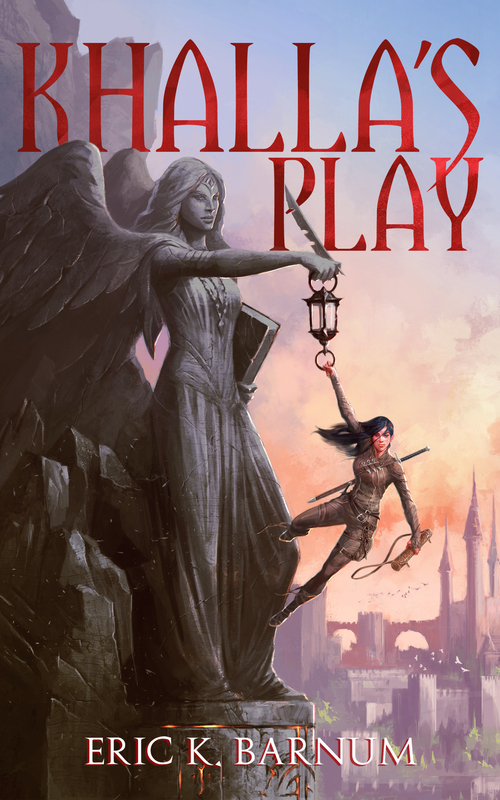 He’s already got so many books out, but Khalla’s Play is sure to be your new favorite. The lead protagonist is endearing and easy to root for. 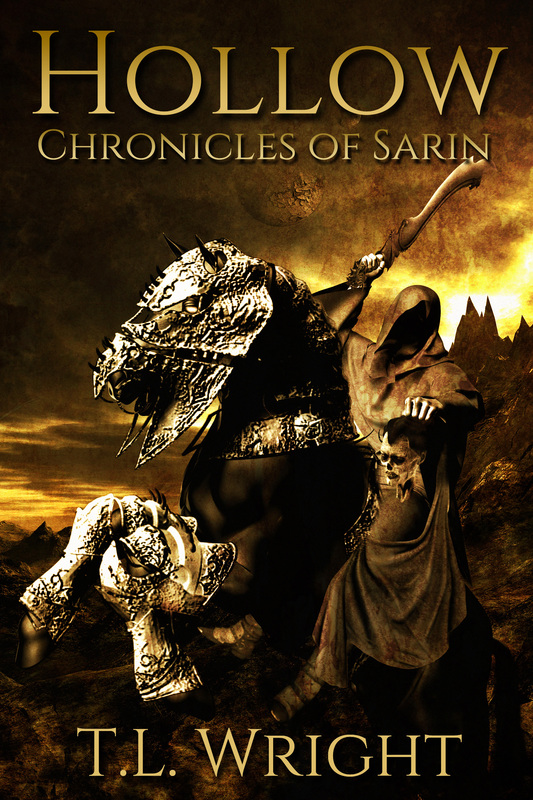 Khalla’s journey will grip you, and you’ll find it hard to put this story down. Pick up Khalla’s Play on Amazon today! characters that join the ranks as well, and they’re all as entertaining as the last. Barnum excels at breathing life into his world, and his characters, given more room to develop, will garner your attention, if not your affection. This book should definitely be on your radar. 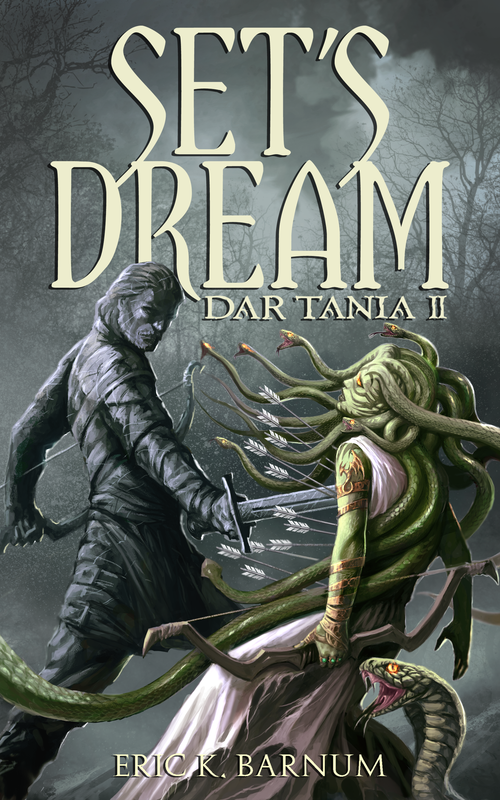 Check out Dar Tania 2: Set’s Dream on Amazon today! weaving each of those individual threads into something magical. There’s no shortage of great things to say about Dar Tania. It’s a delightful, robust read, and even though it’s around one hundred pages, the writing is clever and concise enough to give you a tremendous amount of details. For Barnum’s entry into fantasy literature, this sure seems fleshed out and strong. Check it out on Amazon today! Benjamin Mester is a writer and storyteller who you can tell loves language and wordplay. There is a poetry to his saga, and The Banished Lands is a fantastic start to a lovely 4-book series. He knows how to write compelling characters, and you’ll fall for them right away. While their journey is fraught with perils, The Banished Lands is also uplifting and filled with hope, courage and valor. You can tell when a storyteller is passionate about their work. Mester dives in with these books and delivers something that’s interesting and uplifting. It has it’s fair share of mystery and unraveling omens that will have you flipping pages too. Before you know it, you’ll be ready to jump into the second book. For now though, why not start at the beginning? 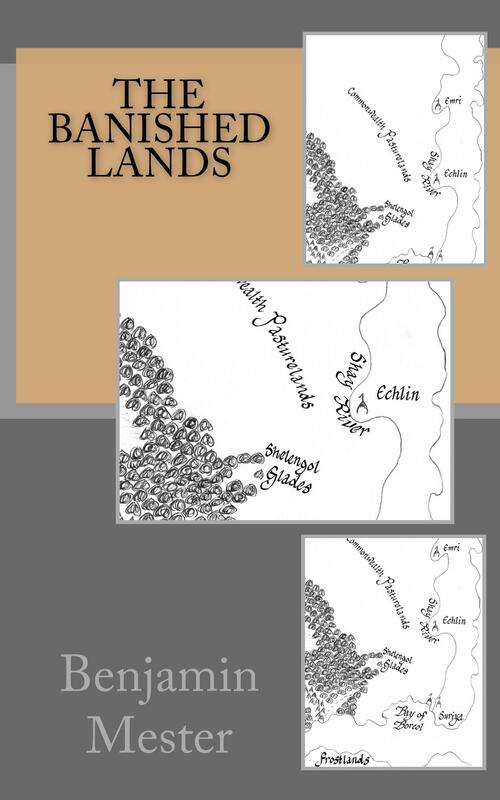 Check out The Banished Lands on Amazon today! With Dragon Copmass, John Bueter balances expressive world-building, interesting character development, and a great mystical force that flows through the world and its martial arts masters. Magic artifacts and great beasts are focal points of this fun read, so if those are the kinds of things that tickle your fancy, Dragon Compass has got you covered. Speaking of balance, there’s a nice flow of humor and action in this book as well, making the flow through its pages seamless. 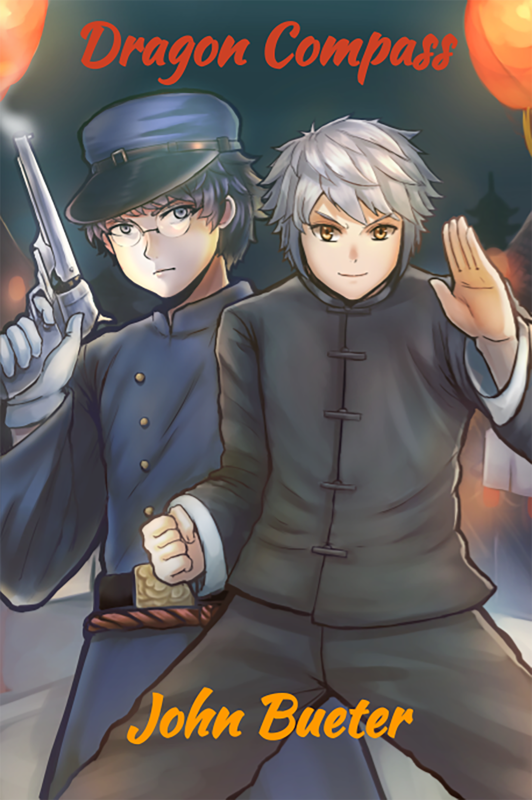 Enter a world where dragons, martial arts and mysticism are commonplace. John Bueter delivers a charming and engaging read that picks up steam and never fizzles out. In fact, by the time you’re done reading this book, you’ll be raring to go for the next one. Check out Dragon Compass on Amazon today! Jon Franklyn’s The Carbynarah Chronicles is massive, it’s epic, and it’s an incredibly entertaining read. You’ll be hooked right from the beginning, too, because the world seems so distant yet so familiar—you want to read on to discover all its secrets. 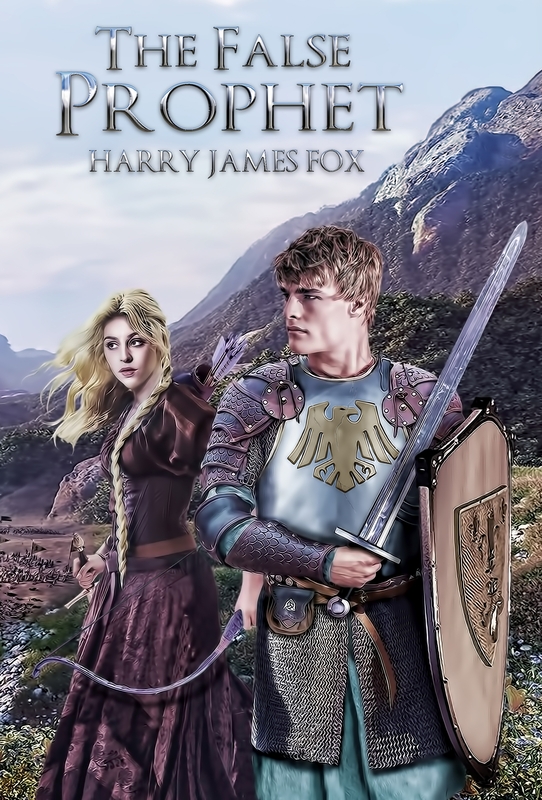 Franklyn weaves his characters’ stories into the grand tapestry of his world with impressive skill as well, and you’ll find the book hard to put down. 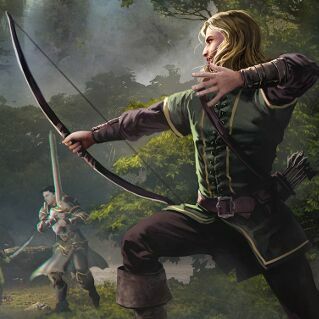 The Carbynarah Chronicles is going to pick up loads of steam and put Jon Franklyn on many a fantasy fan’s radar. And if Franklyn keeps up his incredible writing, we’ll have a new world that we’ll be excited to return to again and again. 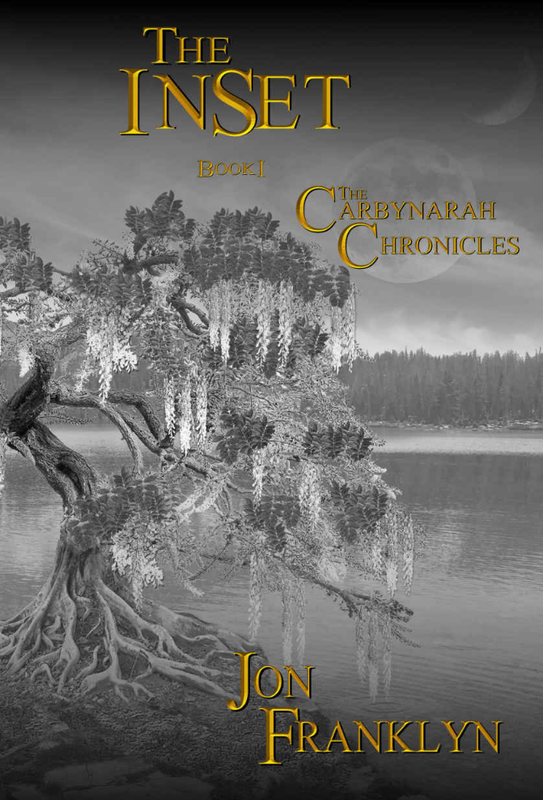 Check out InSet: Book 1 of the Carbynarah Chronicles on Amazon today! B.C. Johnson is an eloquent writer with a breadth of knowledge and first-hand experience that many talespinners can only dream of. Johnson’s latest work is Dytin’s Stones: Windrider. 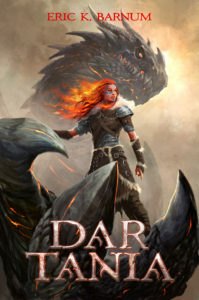 Blending elements of action, adventure and sprinklings of romantic conflict, this book is a solid and enjoyable first fantasy endeavor for the writer. Johnson is also a wonderful world-builder, bringing Teva to life in a way that almost makes it feel like its own character. This living, breathing land is full of magic, and with every turn of the page, you want to learn more. Johnson is certainly going to be a literary force to be reckoned with. He’s a bright author with a lot of talent and an eye for the things that fantasy readers love. The world is fascinating, and Johnson builds set pieces that are enjoyable to watch his characters explore. It won’t be long before the follow up, Dragonfire, is available. 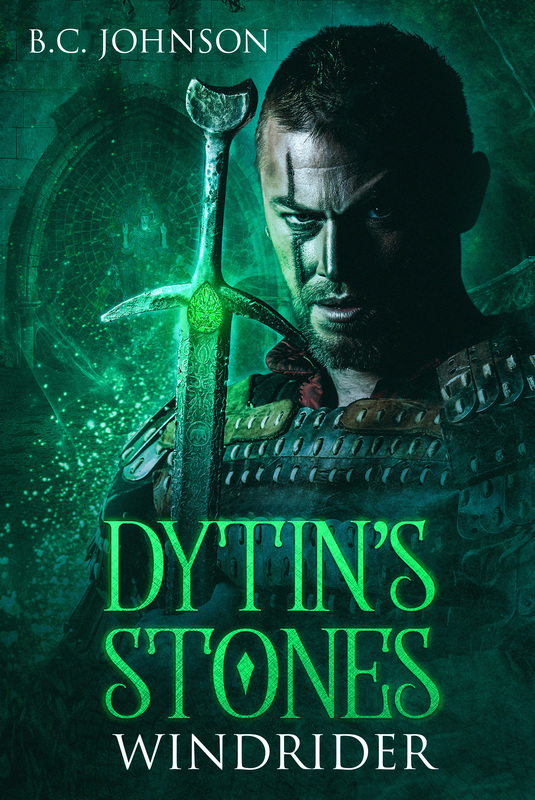 For now, check out Dytin’s Stones: Windrider on Amazon! T.R.Edwards is a storyteller with a ton of talent. His books have a frenetic flow, characters you can’t get enough of, and world-building you want to get lost in. His newest tale, The Sword of Dawn, is deep and engaging, and you won’t be able to put it down once you turn the first few pages. The Sword of Dawn is definitely worthy of your attention. If you’re a fan of fantasy, this book has what you’re looking for. More importantly, when you pick it up, you’ll have just found not only your new favorite book, but also your new favorite author. Pick up The Sword of Dawn on Amazon today! Jacob L. White already has one tremendously well-received book out from the Creators of Six series. Ellipsis has 25 positive reviews on Amazon, and absolutely zero negative ones. White has a vast pool of creative knowledge, and he takes his stories in unexpected directions. His characters are crafted with affinity toward each of them, and he truly puts his heart in it. 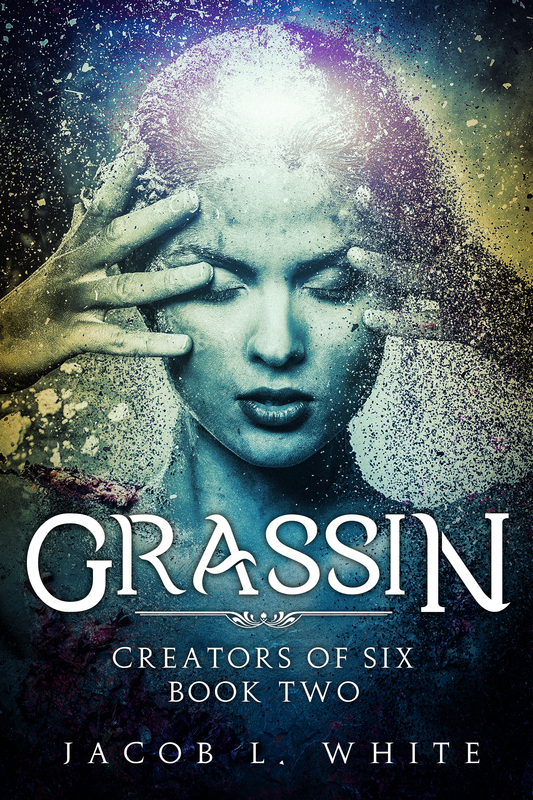 Grassin, the sequel to Ellipsis, just released last week, and it takes from the earlier book and builds on it. As you dive into the world for the second foray, you’ll find yourself even more attached. The Creators of Six series is one that starts building everything in a traditional sense, and then shifts into unexpected directions. Ellipsis and Grassin are great books to lose yourself in, and before you know it, you’ll be ready for White’s next tale. He’s a quick writer, so now is a great time to visit his world! Check out Grassin on Amazon today! Tiffany Skylark is a multilingual worldspinner who has been working on her craft for over a decade. 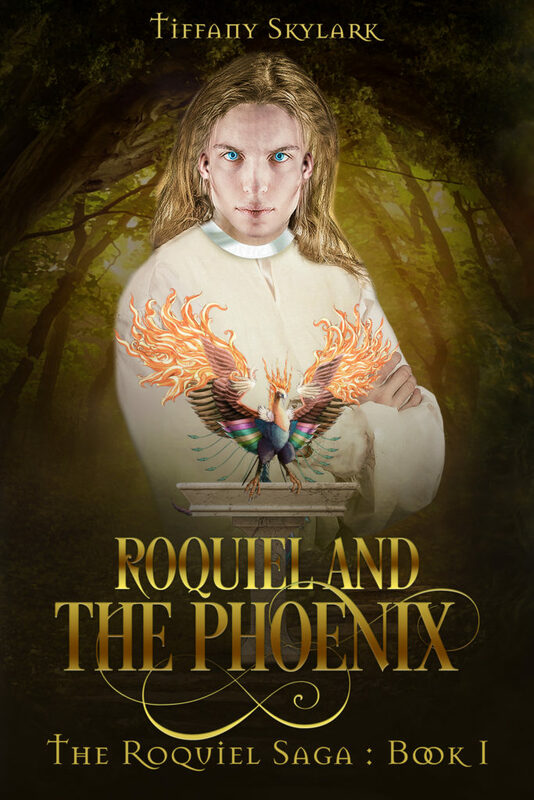 Spend a little time reading her recently released book, Roquiel and the Phoenix, and you’ll see that passion unfold. Skylark takes special care to build up Kitharion. Her characters are easy to root for, and you’ll always be eager to turn the page. Roquiel and the Phoenix is a great introduction to Kitharion, but the entertainment certainly won’t end there. Skylark has more books in the saga that will be out soon, and she also has plenty of other stories to tell. Dive into her world, and check out Roquiel and the Phoenix on Amazon today! In Sivoa: Sunrise, the reader is brought to face a rich, beautiful world filled with interesting characters. Scott’s prose is tight, and her story is compelling. It stands on its own, but it feels at times like a brilliant play on old fairytales and mythology. You’ll look forward to each of the character interactions, and you’ll be hooked right from the beginning (but Dragonira and Pavlova meeting will truly seal the deal). Sivoa: Sunrise is a work of art and develops a world I’m sure we’ll not see the last of anytime soon. Scott is such a diligent creator across many mediums, and she and Sivoa have such potential. You’ll be eager to where things go next. 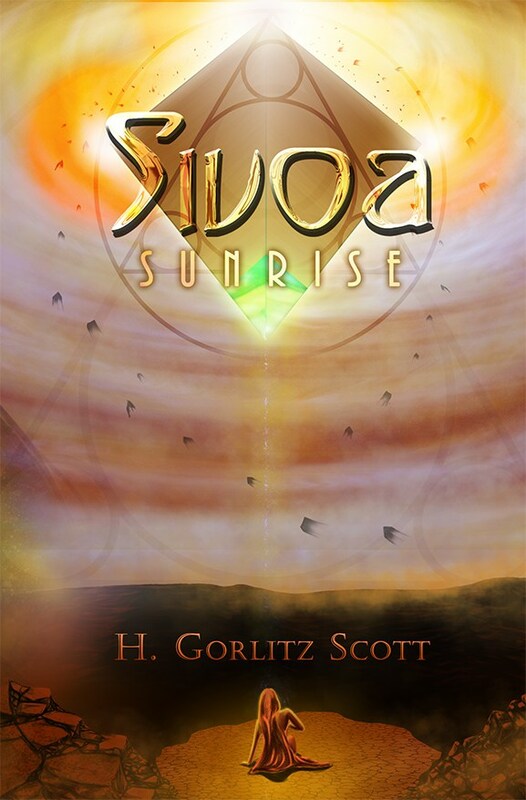 Be sure to check out Sivoa: Sunrise on Amazon today! C.B. Samet is an incredibly diligent storyteller who came onto the scene and within months had a catalog that truly impresses. Her debut fantasy novel, The Avant Champion: Rising is filled with adventure and intrigue, romance and a little bit of heartache. This Evvy award-winning fantasy is definitely worth a look. 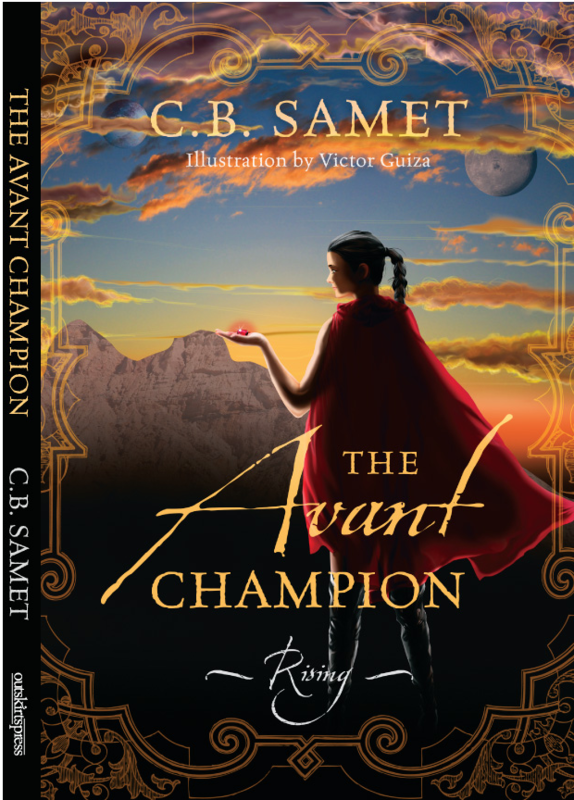 With clever writing, a page-turning story, and a lot of heart, The Avant Champion is an excellent tale you won’t want to pass up on. Check out The Avant Champion: Rising on Amazon today! Freya Pickard has a way with words and telling tales that feels very familiar—she puts you in her worlds with ease, and today’s book is a very good example of that. Vintrig’s Throne is the second book in Pickard’s Isu Magan series. Though there’s a preceding book, you won’t feel like you’re missing anything if you pick this book up first. It’ll give you insight to Isu, of course, but this book is strong on its own merits. It’s poetic and beautiful, and Pickard has an interesting and poetic way of leading you through its pages. 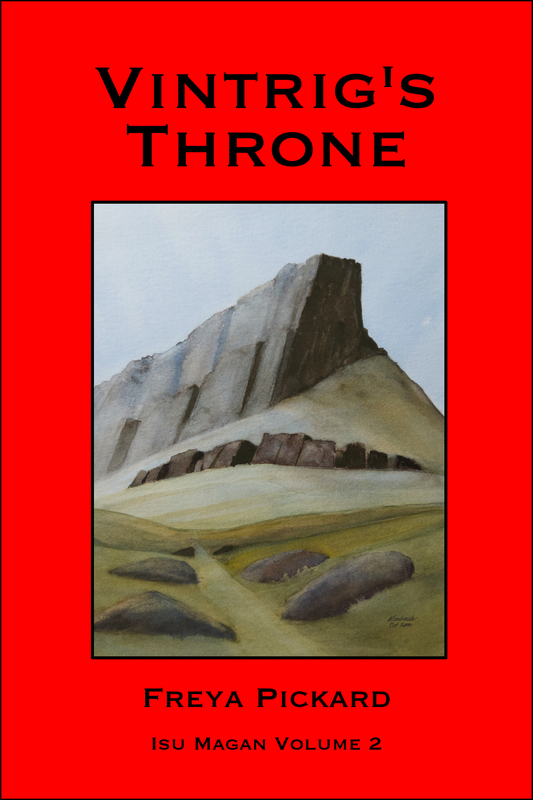 Check out Vintrig’s Throne on Amazon today! The Spectra Unearthed, the first book in Christie Valentine Powell’s The Spectra: Keita’s Wings series, is a charming, well-written tale by an author who is growing into her craft, and developing a world that you can’t help but want to visit. It’s a doozy of a story, with a plucky lead, locales you’ll love to explore, and of course, beautiful prose. Powell is definitely a storyteller to watch out for. The Spectra Unearthed begins with a nice burst of action, and the pace is steady from there out. The author is also a master of dialog—every time a new character is introduced, you’ll be happy to see a new conversation unfold. Powell has two stories that follow this, and each of them get even better as they go. This is a great place to start though, and you’ll be happy to read about Keita and the royal family, the Nomelands, and the Stygians. 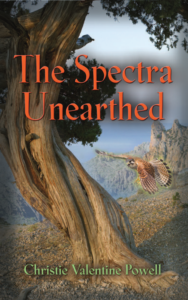 Pick up The Spectra Unearthed on Amazon today! Sapphire Ambition is the spectacular sequel to Diamond Bonds. Everything that made the first book entertaining is cranked up a notch here, and the stakes are ever higher. The world Kish has built continues to grow, and new characters are introduced while the established ones get a chance to shine even brighter. It is everything you like to see in a follow-up, and it’s sure to leave you eager for the third book! 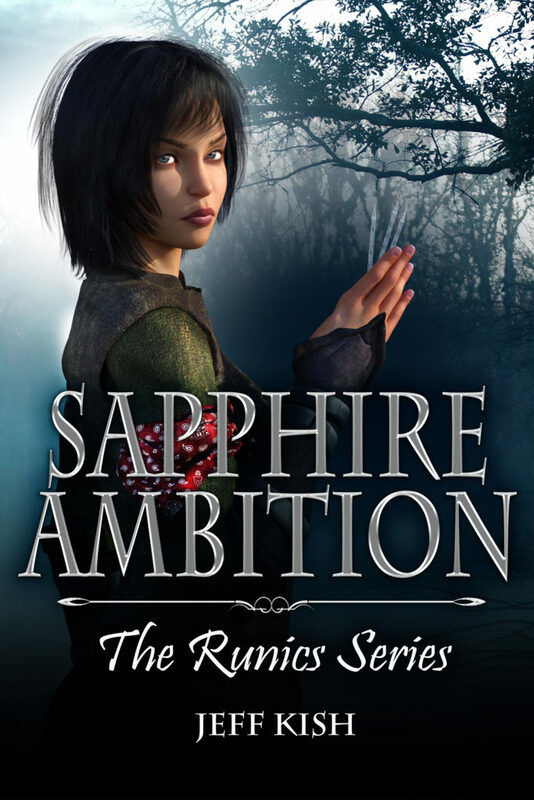 Check out Sapphire Ambition on Amazon today! 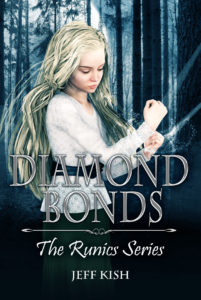 Diamond Bonds has got wonderfully written characters, a cool setting, and the right kind of magic to pique your interest. It’s young adult fantasy at its finest, and if you get a chance to read it, you’ll join the ranks of those who have enjoyed it. William Long’s Timecrack is one of those entertaining books that pulls you out of the monotony of day to day life, and thrusts you upon a whole new world. In this first book in his series, we join the Kinross family in a beautiful, humorous, thrilling adventure when a portal opens and pulls them through to a fantastic, new world. Timecrack is a lovely endeavor by Long, and one that you’ll be happy to know already has a sequel, with a third coming along soon. It has characters that are endearing and easy to relate to, and a world that is fully realized with secrets left to be discovered. 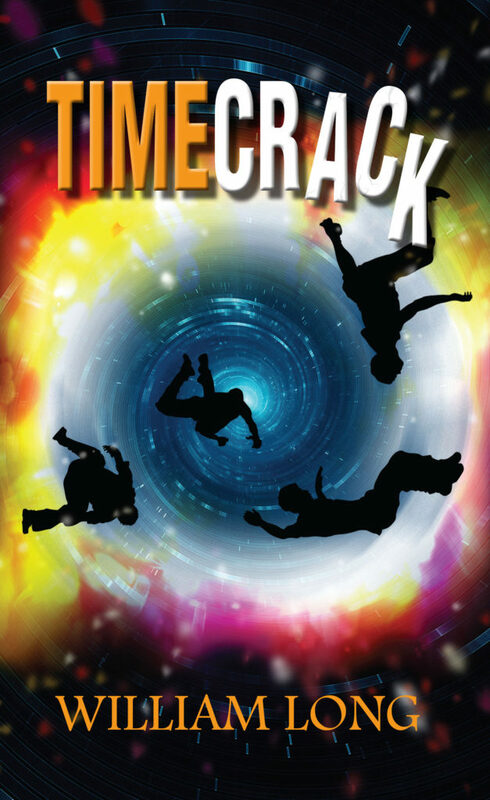 If you’re interested in this fun fantasy romp, check out Timecrack on Amazon today! 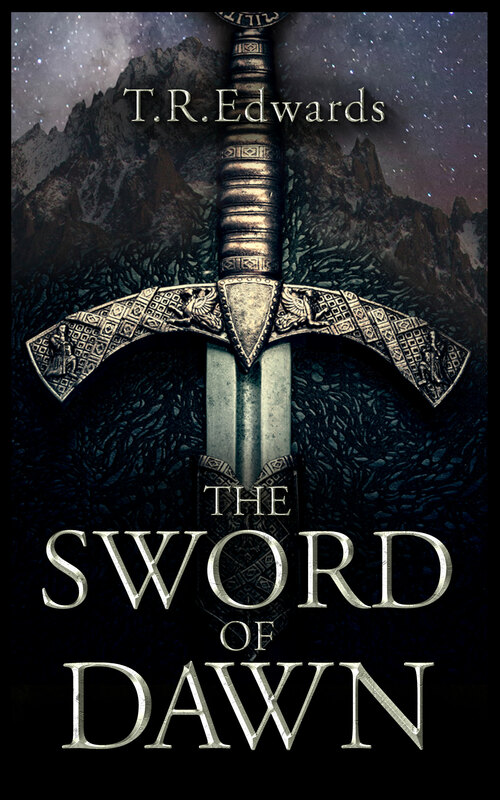 The sequel to the award-winning Christian fantasy novel, The Stonegate Sword, this book is incredible. The False Prophet proves without a doubt that Harry James Fox is a storyteller worth following. Beautiful prose is present throughout the book, and though it takes place in a future version of North America, Fox makes the world his own. He hits all the creative notes you want in a story. This award-winning author will have you turning the pages faster and faster, ever excited to see what happens next. This is a fantasy series that you definitely do not want to miss. I recommend you drop whatever you’re doing and pick the book up on Amazon today! 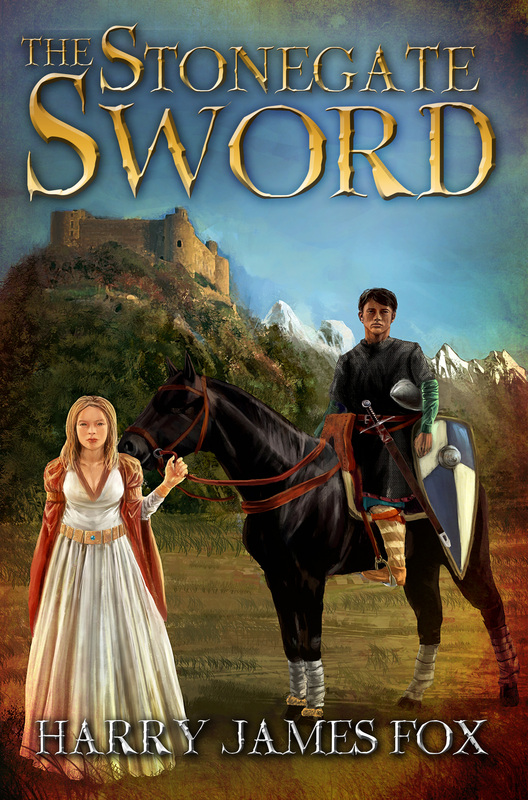 The Stonegate Sword is a lovingly crafted, gorgeous read by Harry James Fox. The perfect juxtaposition of classic fantasy, romance, a smidge of science fiction, and a hearty dash of religion fill these pages. They all coexist beautifully, and come together to tell a story that will appeal to you across every single chapter. Filled with bouts of historical fiction and brave knights in shining armor, The Stonegate Sword will surely prove to be a difficult book to put down. Check it out on Amazon today! 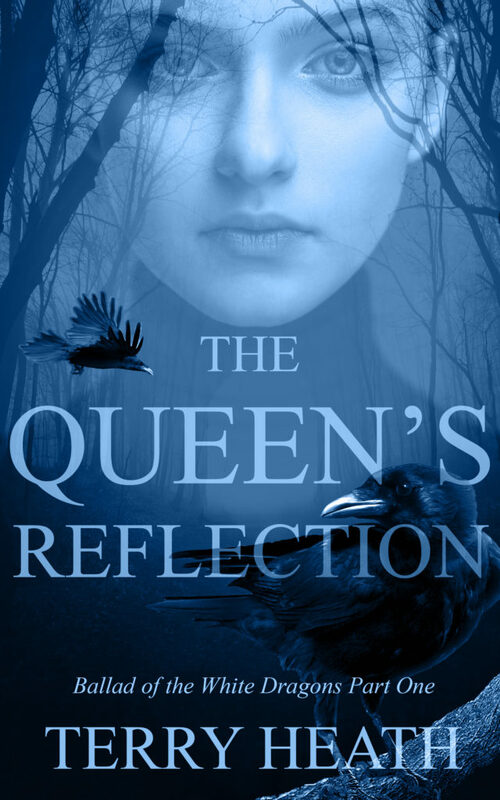 Terry Heath writes the Ballad of the White Dragons series of novellas, and his recent debut is The Queen’s Reflection. Well spoken and even better humored, this “goatherd” from Washington has a way with words that will have you ready to sign up for all the novellas before they’ve released. There are three more to follow this one soon. Why not get started with the first book in the series? You can check it out on Amazon right now. 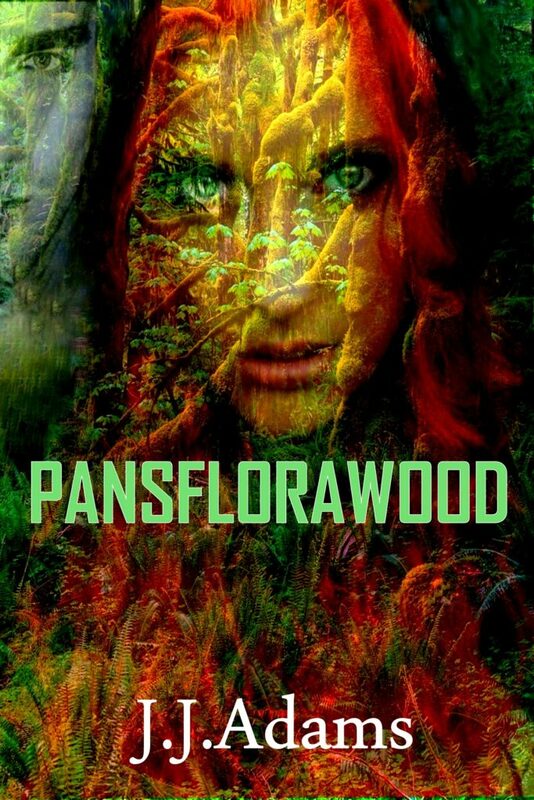 A gorgeous book of fantasy and poetry, Pansflorawood is written in whimsical iambic pentameter. Adams has a wonderfully quirky attitude and presence, and her work is as delightful as it comes.Pansflorawood really is a treasure—a fantasy book for right brain stimulation to launch the power of your imagination! If you’re looking for the book in ebook format, you can pick it up on Amazon here. Heartfelt Sounds is the debut fantasy title of author C. M. Estopare. It’s the first book in her The World of Sorrel series, and it promises to be an incredible read. When fantasy is looked at through a lens that might be a little different than we’re used to, you’re in for an interesting tale—in the case of this novel, that’s exactly what you get. Naia is a delightful character to read about, and and Estopare is bound to see a huge amount of traction with this debut title. The Horse Dreamer is the first book in the Marc and S.J. Secchia’s Equinox Cycle. And just like Shadow Dragon, it’s poised to take virtual bookshelves by storm. With fantastic dialogue, a world built out of a wonderful imagination, and events that are times heartbreaking and uplifting,The Horse Dreamer is a perfect summer read. 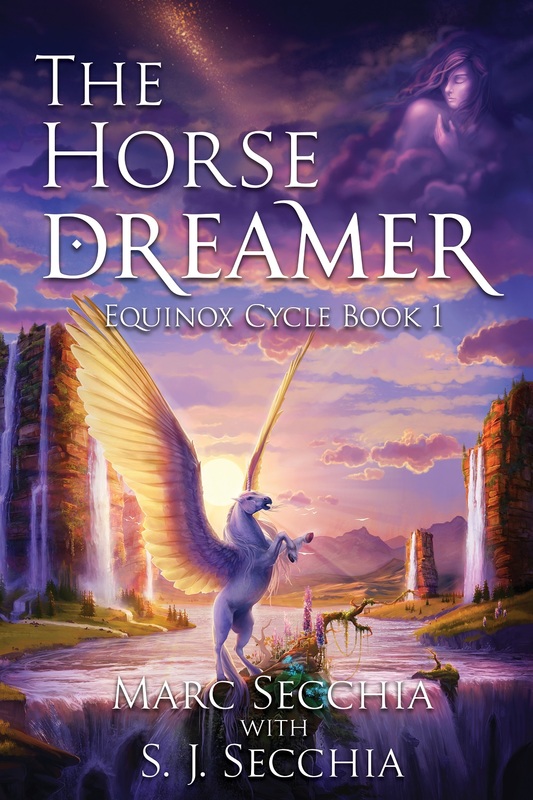 Secchia invites you to embark on this unforgettable ride to the world of Equinox with Zaranna, the Horse Dreamer. Filled with courage, magic, evil wizards and crystal dragons, this is a world of wild equinoctial storms and majestic beauty. 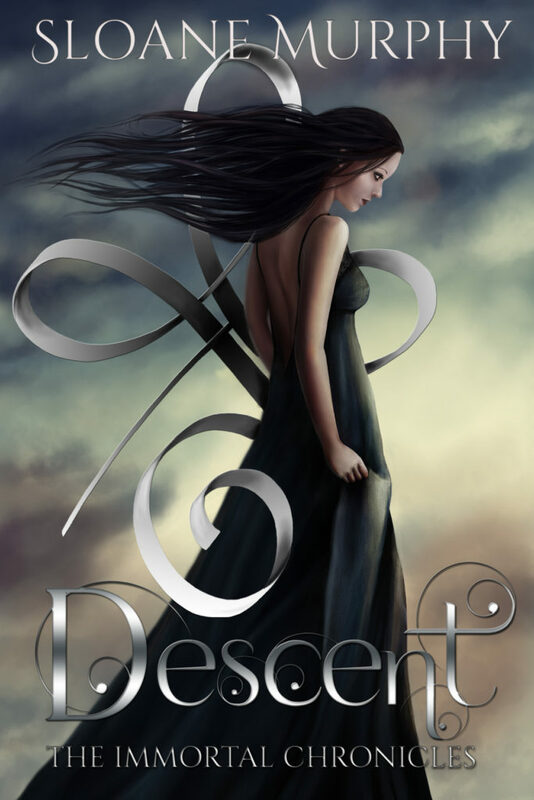 Explore the fantasy worlds of Amazon bestselling author Marc Secchia. Pick it up on Amazon today! 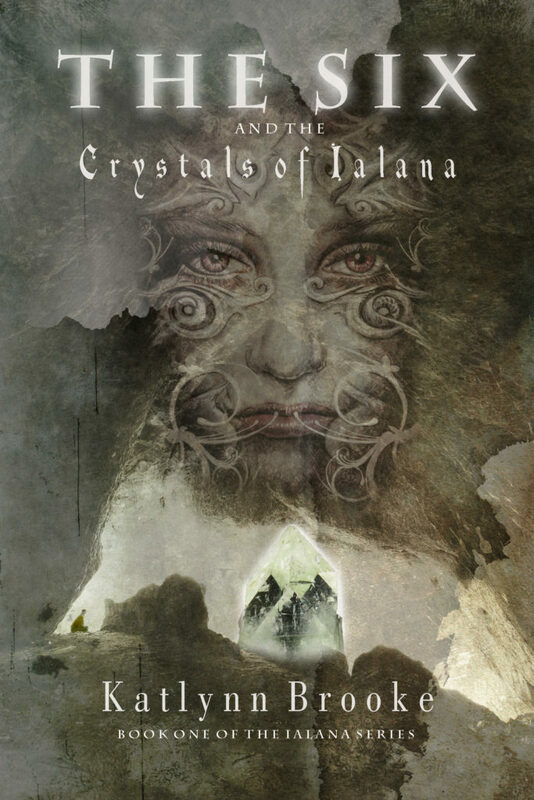 The Six and the Crystals of Ialana is author Katlynn Brooke’s first foray into the fantasy world that she’s created. Following a handful of younger characters, the story truly opens up and shows you some very interesting twists and turns. It’ll have you racing through every page and chapter. Luckily, there are two more books that follow. Brooke has already made somewhat of a name for herself because of these books, and you can get in on the action by picking up the first title from Amazon today. We’re obviously huge fans of fantasy, and there is perhaps no indie author so poised to deliver traditional fantasies than J.S. Morin. We’ve worked with him on several occasions, and he’s been prolific in his work thus far, releasing over two dozen books since 2013. 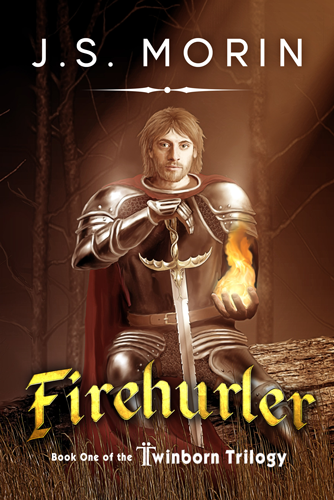 We had the privelege of promoting Morin’s book, Firehurler, but we also were able to interview the super hard-working storyteller. You can read that interview here. Be on the lookout for more great content from J.S. Morin. We’re sure that we’ll consistently be one of the first places you’ll get news of his newest big projects. 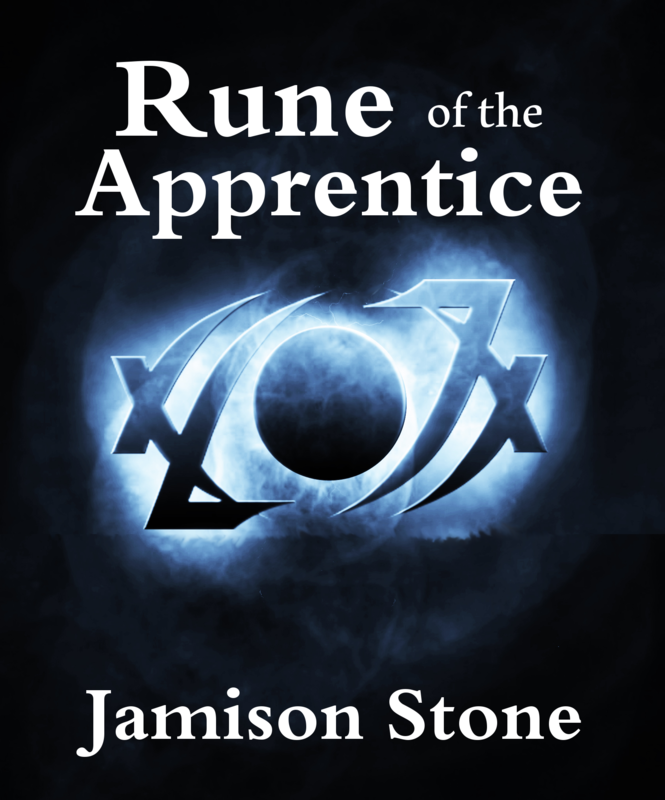 Jamison Stone, the author of Rune of the Apprentice has talent, drive and an awesome personality. In what I’d call pre-production, he’s already delivered an awesome amount of supplementary material (the maps of Terra, Vai’kel and Devdan are pretty spectacular). Of course, more importantly, what Stone delivers is a solid story. Some free chapters of Rune of the Apprentice are up on Inkshares already. With a deftly written story, Stone leads his characters into and out of danger, weaving a thrilling thread that connects things with a lot of poise. His story is clever, too, with ideas that you don’t see too much of these days. Rune of the Apprentice is currently crowdfunding on Inkshares. There are folks out there that treat their series like a child, raising them up from nothing to be powerful enough to stand on their own. Alesia and Michael Matson treat their child like she’s the future queen. 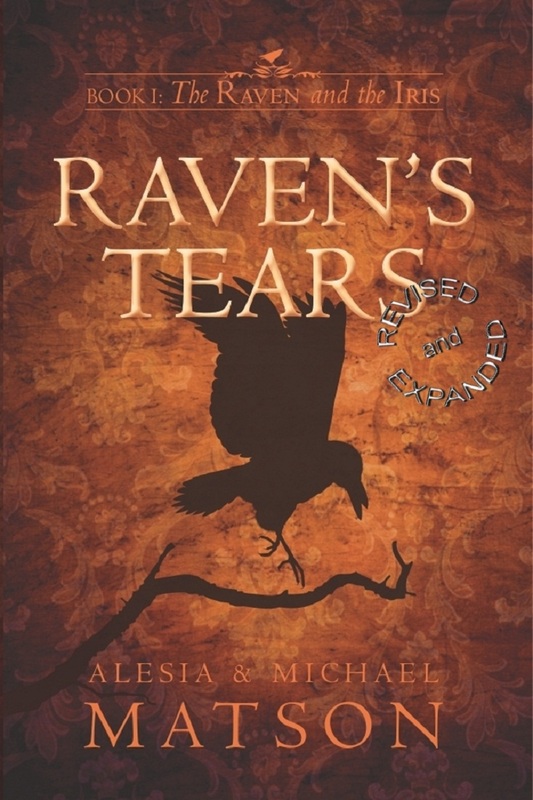 They’ve opened up their fantastic series, The Raven and the Iris, with Raven’s Tears. A trip to the world of Menelon opens a window to this vast fantasy that they’ve spent thirty years creating. It’s a true passion the likes of which their characters wouldn’t even see coming. I am truly impressed by their willingness to hammer away at it as hard as they have. In doing so, they’ve forged a world that rivals some of the greatest fantasies you’ve ever seen. Rinaldi has set out to spin. Brienne Dubh is a meticulous author who knows her way around building a series and a world. Her latest is Awakening of a Soul Keeper, a prequel to her Soul Keeper series. Make no mistake about it though, this has all the makings of a phenomenal read. 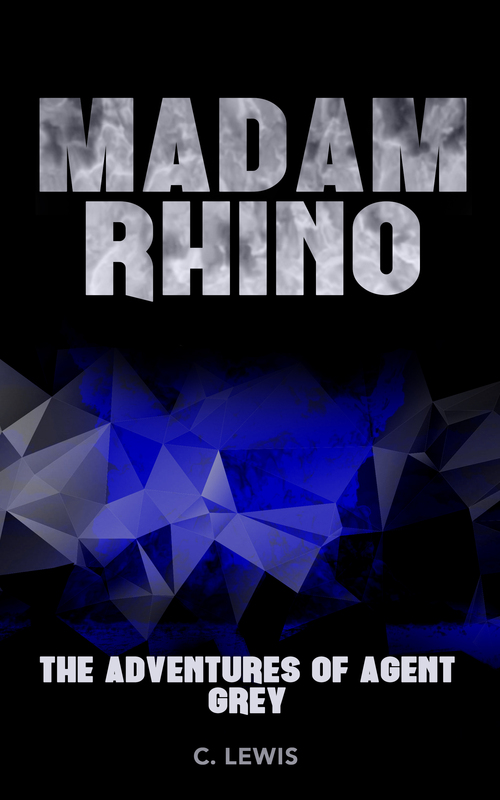 It’s got dark action with real stakes, smart and interesting characters, as well as electrifying romance. This prequel develops in all the right ways, leaving the door open for what comes next, although it’s a strong and solid read on its own, as well. Dubh has been writing for a few years now, and has great reviews across the board. This tale is her best received yet, as well as a promise of more great content on the way. It’s time to dive in. 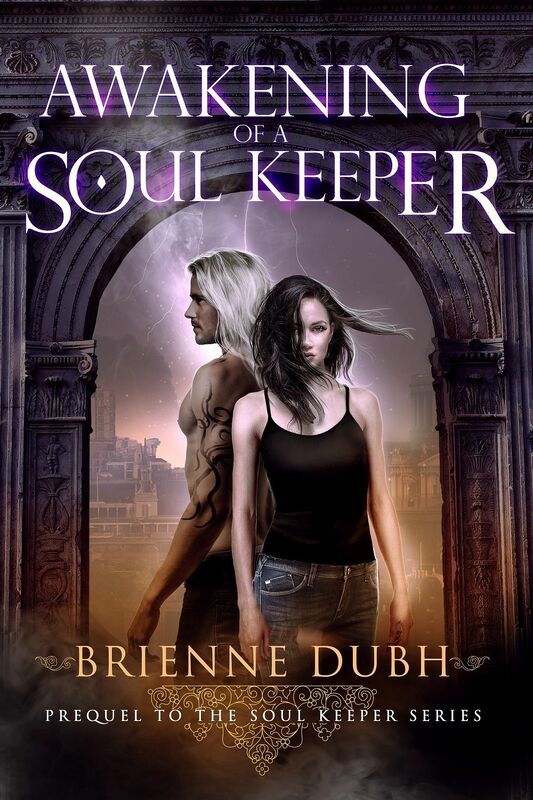 Check out Awakening of a Soul Keeper on Amazon today! L.E.Parr is a master of balancing not just multiple storylines that come together, but also moods and elements of storytelling. Fariidinus has always been magical (and the Heartland continues to be in this latest release), but we also see real life sewn into the lines of the tale that make it come to life even more. Parr excels at making you feel for her characters, and for Lights and Shadows, there’s no exception. Lights and Shadows is a worthy entry in this storied series. It’s rich with storytelling and world-building, as is usual for Parr, but the beating heart of the tale is the emotional journey that Shannon goes on. Parr does an excellent job of taking her readers through a tragedy to see the beautiful outcome. If you enjoyed the Fariidinus series thus far, there’s no reason to delay. Pick up Lights and Shadows on Amazon today! 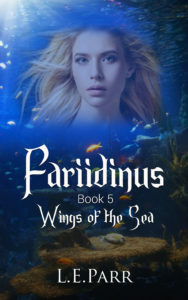 Fariidinus Book 5: Wings of the Sea is another bout of worldbuilding at its finest, and this time L.E.Parr brings us to a whole new realm. The Heartland seas become an intriguing place to visit, thanks to newcomer Melody, who holds sway over that domain. The story fits in with the previous book as well, as some focus is left on Kirin, who became this second set’s big hero. Melody gets to shine here, though, and you’ll quickly fall in love with her. The first trilogy was tremendous entertainment, and these newer books are set to keep up to that same pace while also carving out the world she’s built even further. Melody is an awesome character to add to her already impressive roster. If you want to read her story, check out Fariidinus Book 5: Wings of the Sea on Amazon today. The start of a brand new set of books in the Fariidinus series focuses on a new main protagonist. Aramix is a glissin, a half-human, half-fey who can sort through the parts of the queane of the Heartland. She keeps the queane in one piece, in spite of the considerable pain and weakness she lives through. But what would happen if Aramix didn’t use her powers the way people tell her she should? Returning to the Heartland for this new piece of the Fariidinus series is more refreshing than you’d believe at first glance. Glissin gives Parr a chance to explore the world beyond the veil with greater resources, and indeed, this new set of books looks to pull back the curtain on much more of the Fariidinus lore. 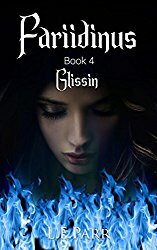 Pick up Glissin on Amazon today! 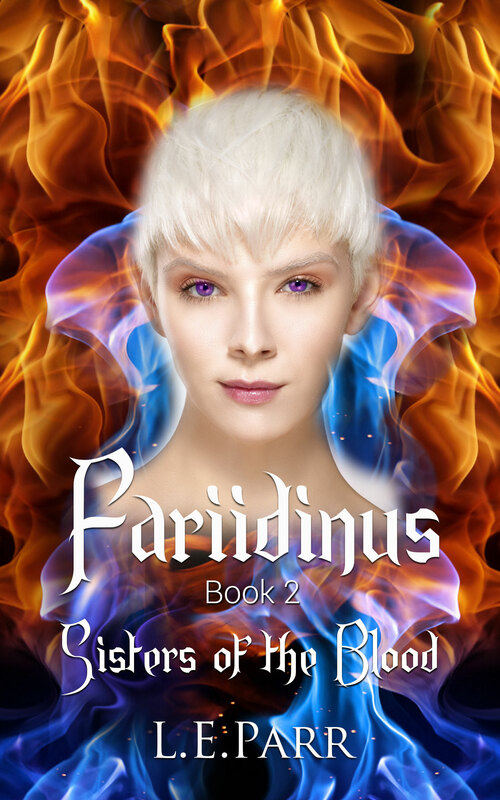 The third book in the Fariidinus series, Battle Queane, jumps right into the juiciest bit of the conflict that has been growing since Parr’s first book. Kirin continues to grow stronger, and it becomes clear that she is the key to defeating the villainous Letal. But such power comes with a tremendous price, and Kirin may not be able to bear it. Nailing the hat trick, Parr delivers a stunning conclusion to the first Fariidinus series. It’s raw, emotional and filled with the drama and conflict you’ll come to enjoy from this lethal fairy universe. Battle Queane wraps up the trilogy in as beautiful and eloquent a manner as could be imagined. Check it out on Amazon today. 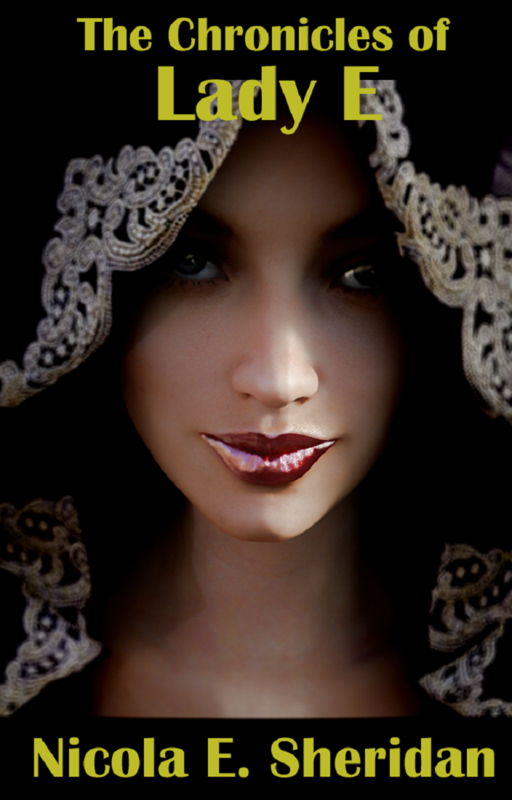 Sisters of the Blood is the continuation of the Fariidinus series, written by L.E.Parr. Where Wings of the Exile saw the heroine of this series finding the strength and confidence to return to the Heartland, this book finds her turning herself into a powerful weapon to use against the evil Highmother. 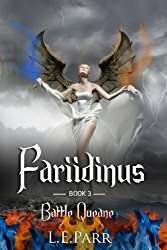 Fariidinus is a wonderful series, and the second book is just as enjoyable as the first. If you’re in the market for a series that puts a focus on just how deadly something beautiful can be, the Fariidinus books won’t steer you wrong. Check out Sisters of the Blood on Amazon now! 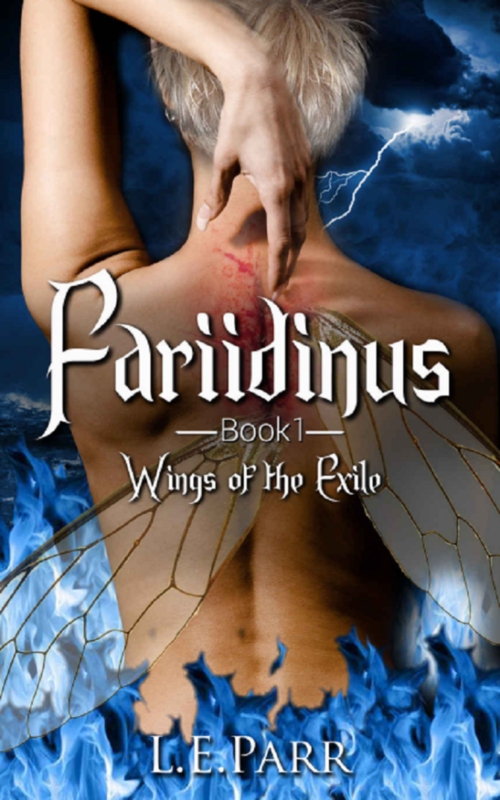 The Fariidinus series begins with Wings of the Exile. Kirin, who has been stripped of her wings, was banished from the Heartland. But her part in the great battle before her is not over. Beautiful fantasy mixes with the right amount of grit and grime. Parr’s fairies are as lethal as they are beautiful, and it gets your blood pumping for every tension-filled scene. Wings of the Exile is exactly what an introductory tale should be. Parr crafts a story here that doesn’t feel as though it was a labor at all. Rather, you get a sense that the fairies whispered their secrets to the author, and she was the incredible scribe who was given the gift to share it with the rest of us. The Fariidinus books are massive, and there are more on the way. But if you want to get started, there’s no better time than now to pick up the first book on Amazon. 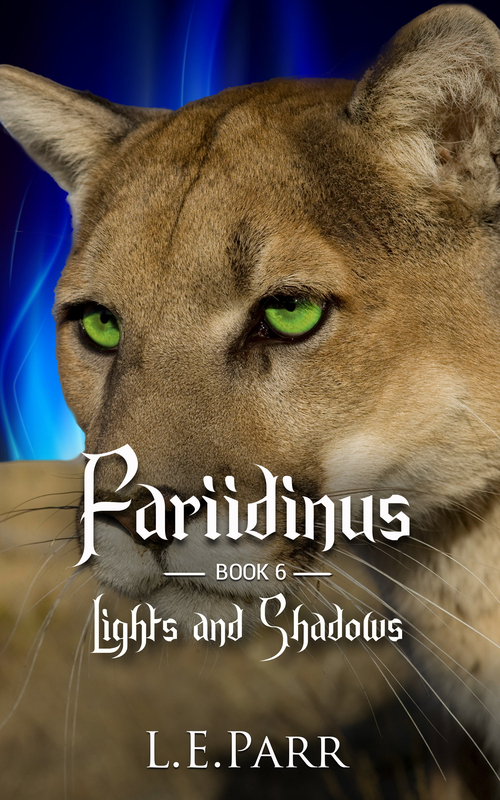 L.E.Parr’s Sirenhawk series does for shapeshifters what Fariidinus did for fairies. The lead character, Ice, takes shelter from the world of man in a hidden place in Sierra Nevada, but she also can’t ignore the pull of the big city. Whereas Parr’s fairy series was brutal beyond the veil of the beautiful creatures, Sirenhawk leans more on whimsy. The author definitely flexes her humor muscles here, to great effect. Parr has already established herself with one stellar series. 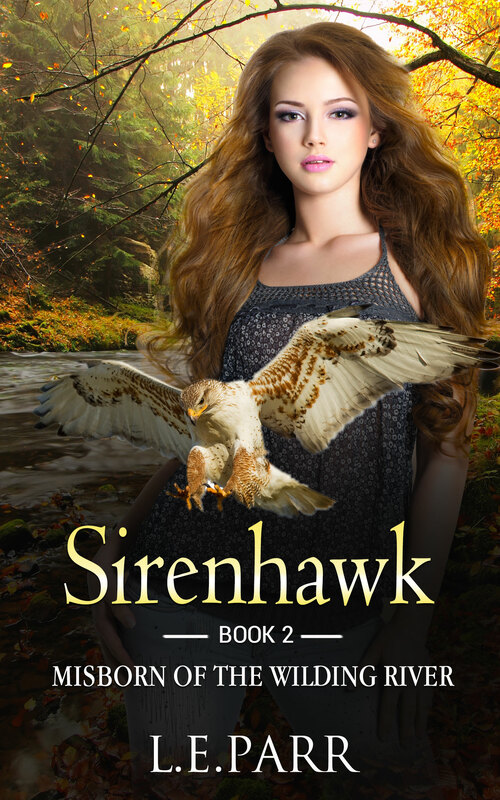 With Sirenhawk, though, the author proves that she can let two storylines breathe and grow independent of each other. Ice is an adorable new lead, and she is the perfect way to be introduced to the sirenhawks. 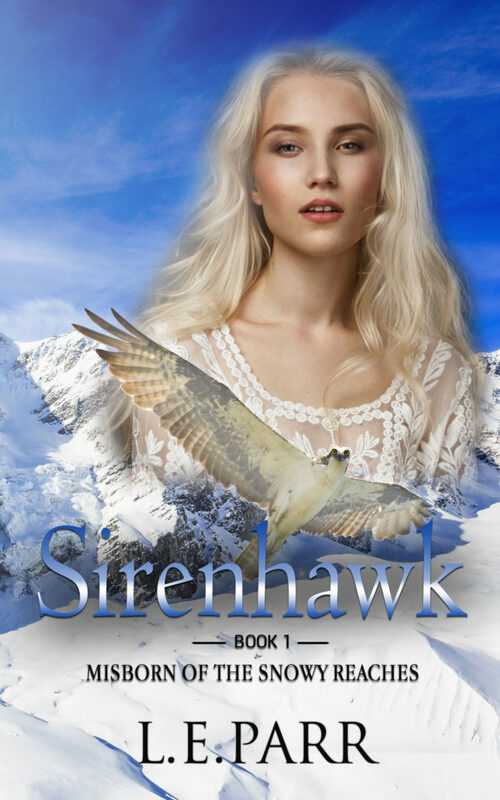 Sirenhawk is fun fantasy at its very best, and you’re sure to love it. Check it out on Amazon to join Ice on her first big adventure! L.E.Parr’s crushes it every chance she gets. She has written more books than I can count on a good day, and every time I check out her site, it seems she has more on the way. If you’re a reader who loves a diligent storyteller, Parr is the right one for you. Her latest and greatest is the follow-up to her awesome Sirenhawk book. This sequel, Misborn of the Wilding River, puts the focus on another shifter. And the book starts as wildly as you can expect. Once again, Parr delivers a stunning and beautiful look at another way of life, and develops her characters in interesting ways. This is the eighth book that we’ve had the privilege of showing off for L. E. Parr. And as strong as she started, her stories keep getting bigger and better all the time. The Sirenhawk series is a fun urban fantasy saga, and it has a certain sexiness to it that you’ll understand when you pick it up. So what are you waiting for? Check out Misborn of the Wilding River on Amazon today! C. S. Eubank is a relatively new storyteller on the block, but what the author brings to the table is fresh and charming. Her heroine, Kara Richards, is the kind of character you just want to root for. It is a perfect tale for the young readers in your family. Eubank is going to be a storytelling force to be reckoned with – you can mark my words on that. 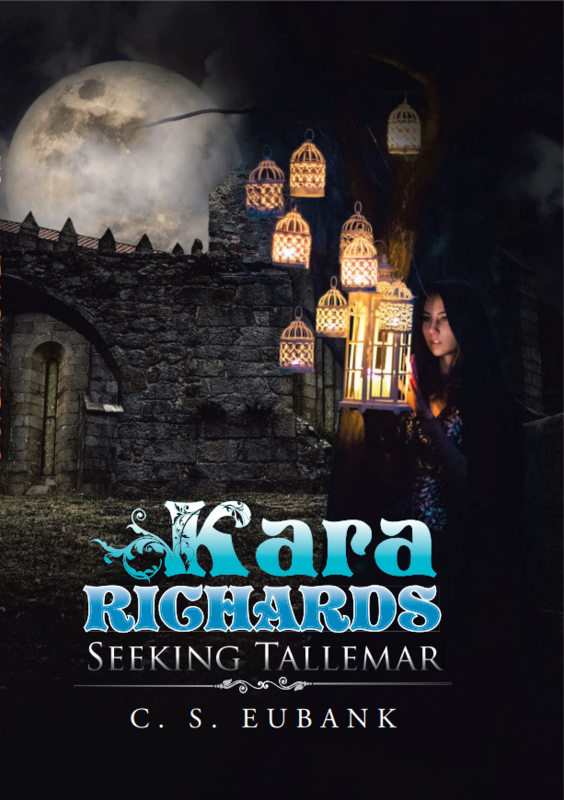 If you’re interested in picking up Kara Richards: Seeking Tallemar, check it out on Amazon. If you purchase the paperback directly from the author’s website, Eubank will sign it for free! 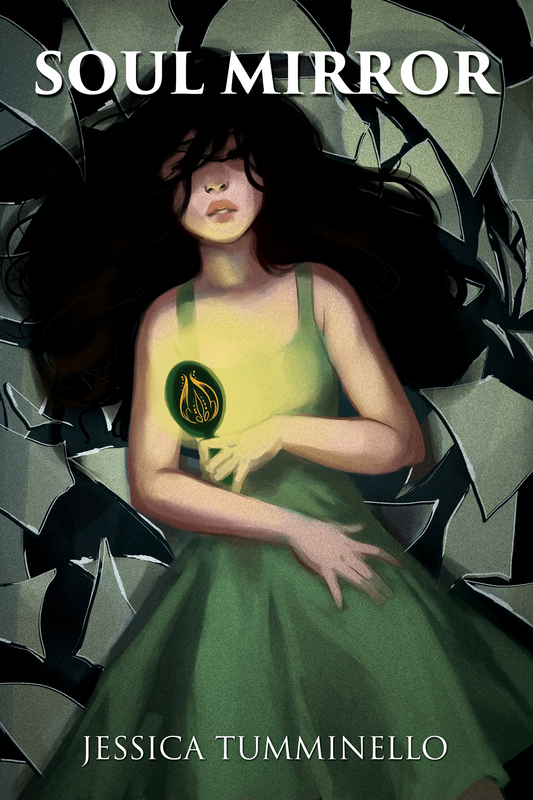 Jessica Tumminello has worked her magic on Soul Mirror, a young adult story about a girl named April who is a pretty flawed individual – more than OK with taking advantage of people to suit her own needs. That’s all changed with one spectacular gift, however. 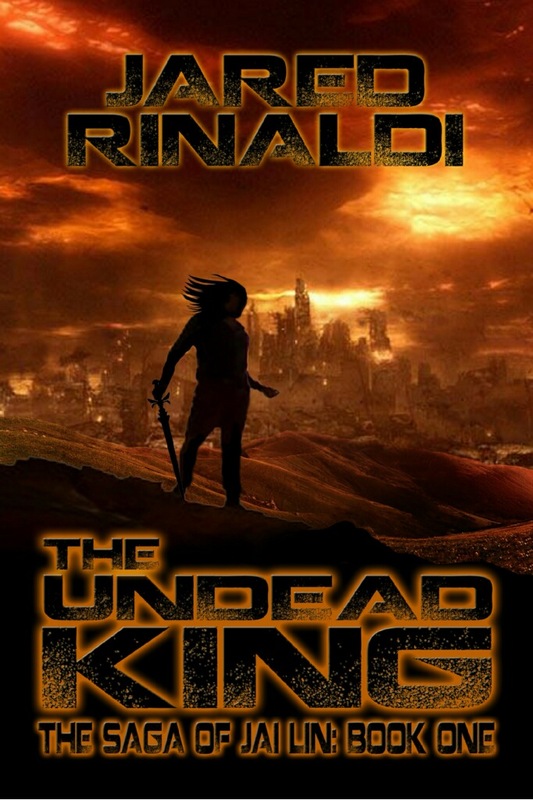 Tumminello has done a great job with this foray into the genre and into writing. If you’re interested in Soul Mirror, you should check it out on Amazon. I absolutely love that Ryan and her charming story are aware of its presence. The tongue-in-cheek humor definitely drives this story, and I have no doubts that you’ll enjoy it. 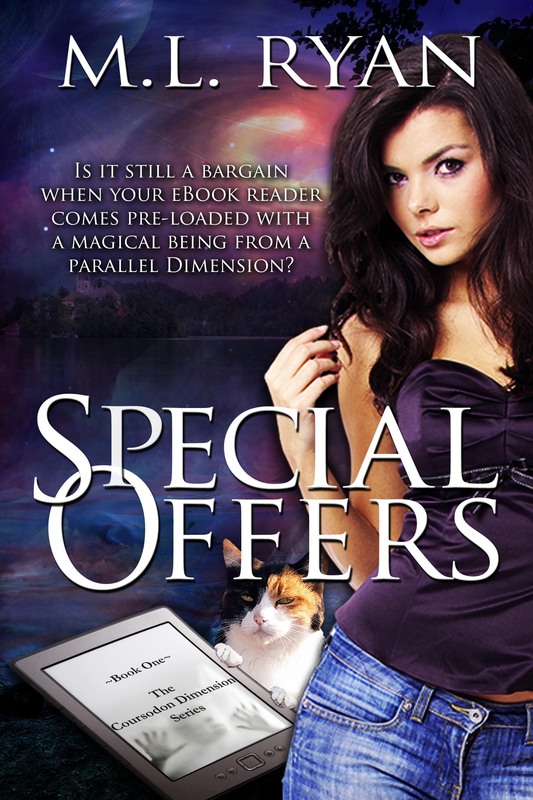 Special Offers, the first book of the Coursodon Dimension Series, combines urban fantasy, a bit of romance and a healthy dose of quirky humor. 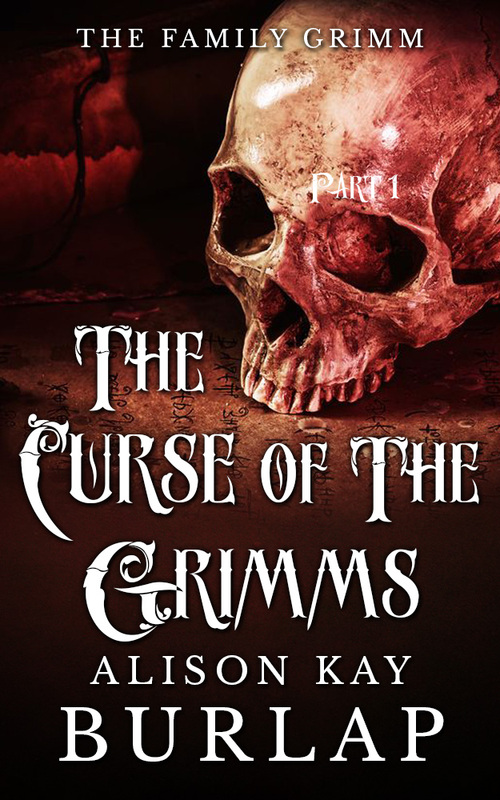 Allison Kay Burlap delivers eerie fantasy in The Curse of the Grimms, the first in a series that follows this family with a dark history. When Eleanor received a letter inviting her to the European funeral of an uncle she never knew existed, she knew she had to find out more, even though her mother pleaded with her not to go. Next thing she knew, she was in the family castle in Central Europe, and seemingly warmly welcomed by her long-lost family. Perhaps they weren’t that odd after all. Sonja Wuthrich has concocted an interesting little world with Elementary Virtue: The Savior that I can really sink my teeth into. It’s an urban fantasy that almost reads like a superhero fantasy. Wuthrich has done an excellent job with this story, and she’s doing it for all the right reasons. It’s a beautiful passion for her, and it shows on each page. 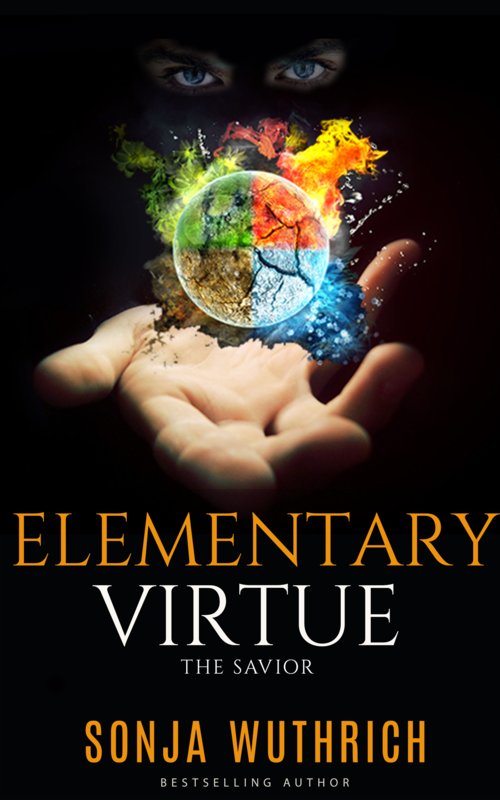 If you’re interested in Elemental Virtue: The Savior,check it out on Amazon. 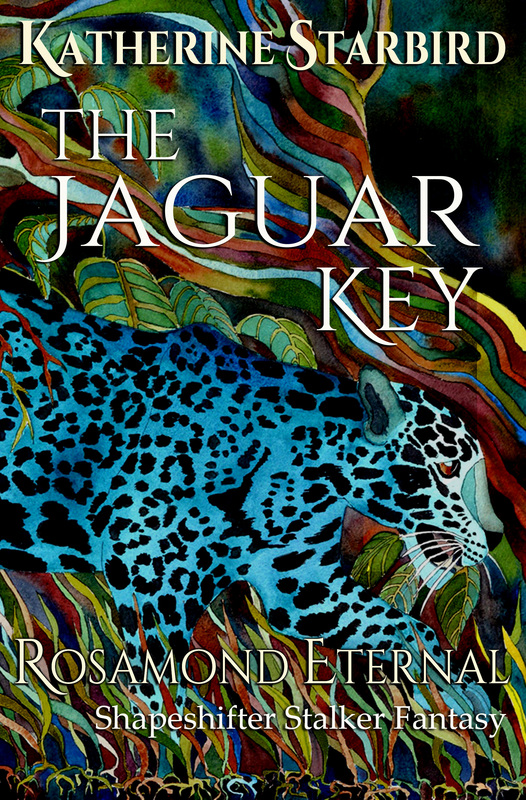 The Jaguar Key: Rosamond Eternal is a very well put together tale that spans centuries. Author Katherine Starbird has hand plenty of time to work on her craft, and it shows in this stellar first story. Did I mention it won the 2014 Royal Palm Literary Award? 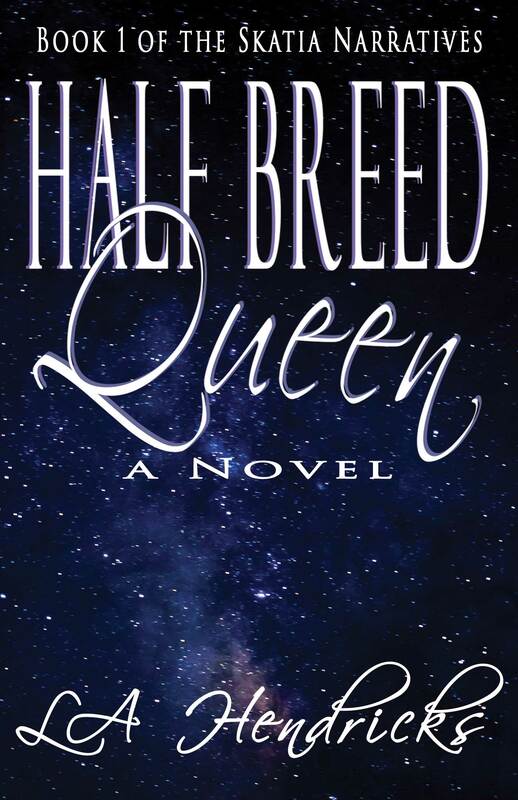 Why not reach for your closest e-reader device and boot up Half Breed Queen, by L.A. Hendricks? It’s an entertaining tale of a world beyond ours, where more than what is in your imagination is possible – but it all starts here, on Earth. Hendricks is an author worthy of your attention, and Half Blood Queen is a dependable read. With strong characters and a story that leaves you wanting more, Divide and Conquer, by Carmen Fox, might be your go-to book for a nice spot of reading. It’s certainly worthy of your attention, as many others who are fans of the book can attest to. 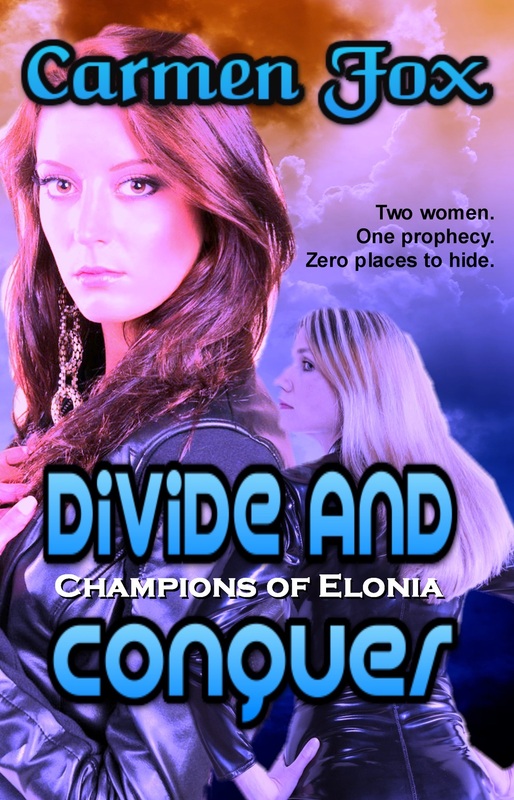 If you want to just get right down to it and pick up her novel, head to the Divide and Conquer Amazon page. How cool would it be to be a superhero? How amazing would it be to fly from one point on the Earth to another? Saphora by Jaz Johnson entertains these thoughts, but it also goes behind the curtain, and shows the struggles of the person behind the powers. You see, Saphora is not entirely unlike our favorite Kryptonian. Jettisoned from her planet, her true origins are lost to her. She has found peace on Earth, except for the encroachment of Tebias, who seeks to return her to her ancestral home. Johnson has lovingly crafted a story for Saphora, and one that seems eager to continue being told. She’s even got a second character from her Athena universe who is making waves. If Saphora sounds like the kind of heroine that you can get behind, check out the first book in the series, Retention, on Amazon. Chasing Rain is a book series that will definitely appeal to fans of the Twilight series, in addition to a lot of the other popular series that have been made into films lately. Beautiful Creatures, City of Bones… it all wraps very nicely into writing like this. These books are short, but they’re cheap, too. And because each one ends in a cliffhanger, you’re instantly ready to pop down another dollar for the next installment! Successor is a fantasy tale that drops the quiet, thoughtful Evangeline into a world that’s beyond what she could imagine. She learns what it takes to be greater than she believes, and takes up the mantle of successor to protect this new world at all costs. 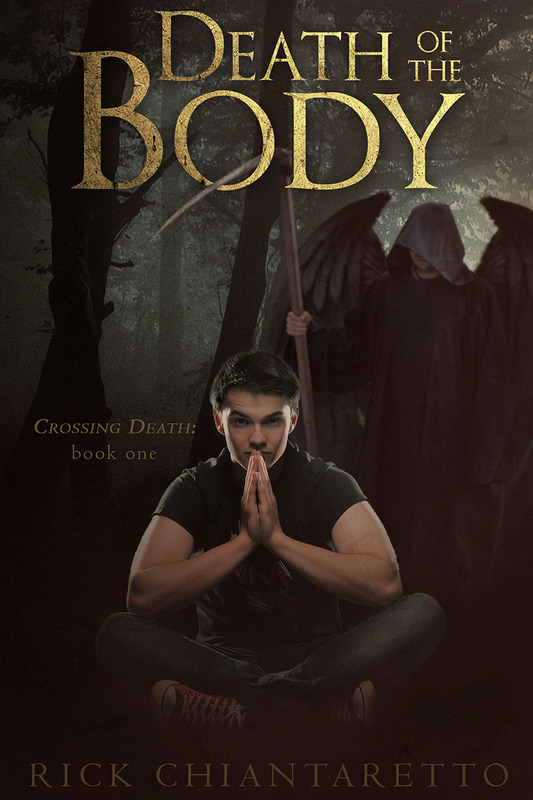 Miles delivers an interesting first book that’s carefully balanced in all the ways that matter for an urban fantasy. Evan is the perfect protagonist to tag along with, and you’ll want to root for her along the way. Successor has the right mix of action, adventure, romance and magic that will keep you turning the page. Miles is stellar at her craft, putting together prose that is as beautiful and enchanting as the world she builds. She is definitely one author you’re going to want to keep an eye on as she begins to develop her catalog. Head over to Amazon to check it out! 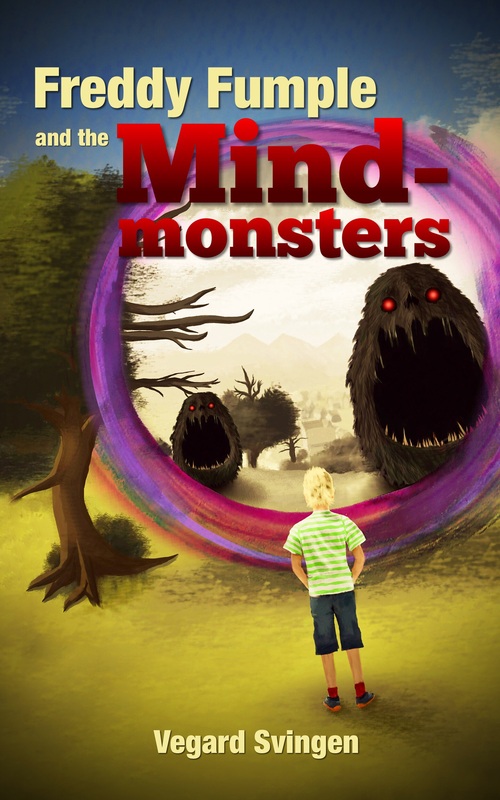 Award-winning writer and TV producer Vegard Svingen rises to the challenge with his debut children’s novel, Freddy Fumple and the Mindmonsters. It captures mystery and intrigue in a lot of great ways, and really makes you question what is possible (and not only in the world that Svingen’s created). If you’ve got a child with a big imagination, or you’ve got an abundant imagination yourself, Freddy’s tale is sure to warm your heart. The characters are enjoyable and easy to relate to. You’ll be begging for more before the book even ends. If you’ve got a child who likes to read fantasy, this will be their new favorite series. Ross Rosenfeld has delivered a wonderful set of tales with the Stolen Kingdom Stories. He’s well written, weaves an interesting narrative, and knows his audience well. The first story in his series, The Greenest Valley, is a fun step into his world. Rosenfeld’s work is seeing great acclaim on Amazon. This would make a great read in your child’s summer reading. 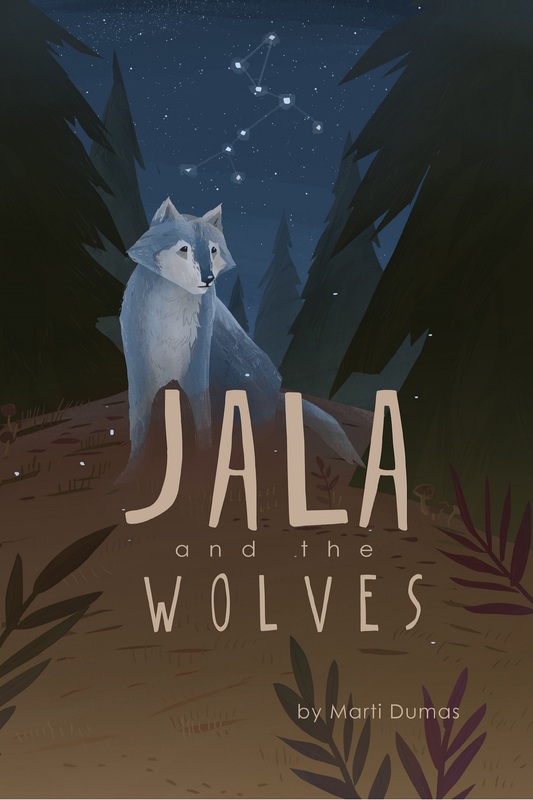 It’s stories like Marti Dumas’ Jala and the Wolves that spring that well of creativity in people when they’re young and take them down this path, where things like Tellest and all the other stories in the Otherworld are possible. Dumas crafts an excellent story for kids and their parents which takes a girl and throws her into a mysterious world of wolves. Her craft is definitely praised, as you can see by her ratings and reviews. Anne Hawksmoor: The Time Traveler, by KC Harry, is first and foremost a fun fantasy read. It’s clever and fluid, and it leads into a heartfelt series. But it’s also got a strong anti-bullying message that could benefit a lot of readers. In Book One, during a summer vacation, Anne and her cousin Claire travel to visit their aunt Marjorie and cousin John in Greenwich, England. It is during their trip to the Tower of London that Anne and Clair go back in time, to 1548, and embark on an unexpected adventure with the young King Edward and his servant James. Tiffany Shand’s Tales of the Ithereal series was very well received, and you can pick up the whole box set on Amazon for a ridiculously low price. Shand isn’t showing any signs of stopping though. She’s got a new book out that you’re sure to dig. Shand has already done a phenomenal job displaying her affinity for fantasy. Her catalog keeps growing by leaps and bounds, and Memories Lost is a great addition to it. It’s an adventure that you’ll want to be a part of, and with every turn of the page, you’ll be eager to see it through. This book opens up a brand new world of stories from the author, and it’ll be great to be along for the ride. 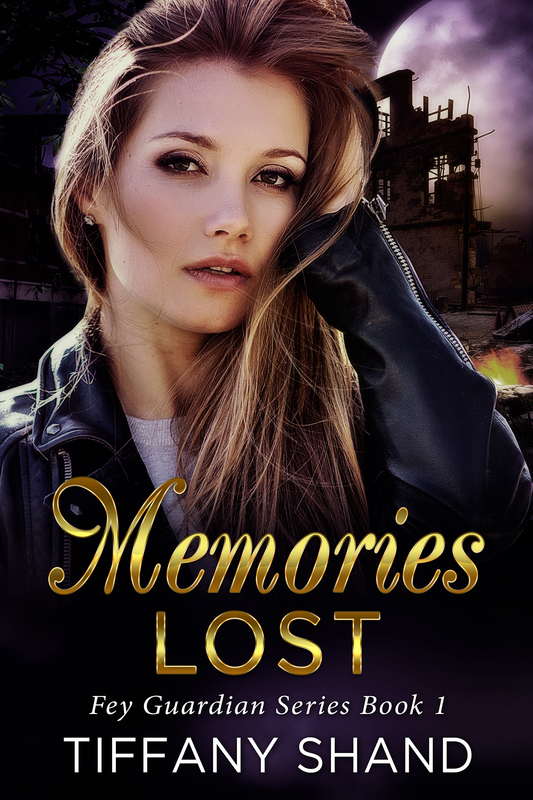 Check out Memories Lost on Amazon today. Wheeler Winston Dixon has put together what’s essentially love letter to the work of the esteemed director, Terence Fisher. It’s a study of his work during the Hammer era, when he worked on classics like The Curse of Frankenstein, which employed amazing star power in Peter Cushing and Christopher Lee. In fact, the director often worked with these two, employing them for over a decade. Dixon’s work is passionate and academic, and cinephiles and horror aficionados can draw a lot of secrets out of the pages of this tome, regarding both Fisher and the films he worked on. The Films of Terence Fisher is as comprehensive as it is entertaining, and it is a must for fans of the material. For those who are new to these classic films, you’ll learn about such fantastic gothic films as Horror of Dracula (starring Christopher Lee) and The Curse of the Werewolf, but also non-horror genre films like the alien invasion film The Earth Dies Screaming, and the Robin Hood fantasy Sword of Sherwood Forest. 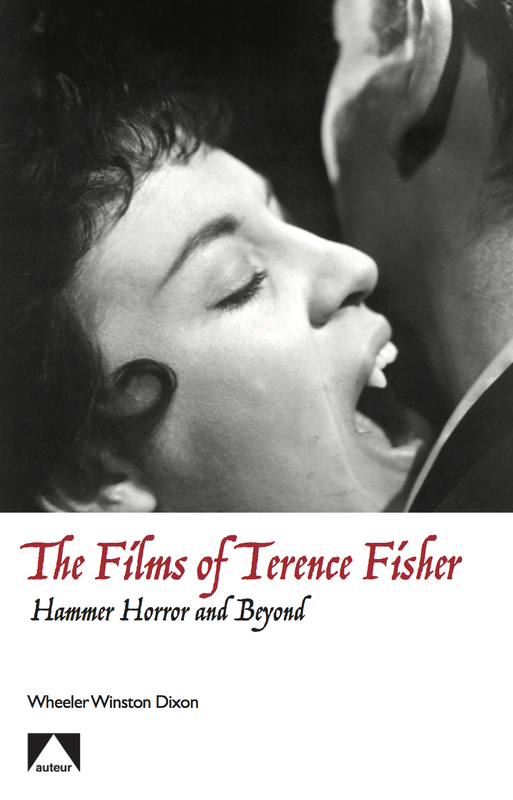 Check out The Films of Terence Fisher: Hammer Horror and Beyond on Amazon today! Vincent Bobbe’s Immortals’ Requiem has been out in paperback for just over a month. Now, it’s available on kindle, and at an even more affordable price. Bobbe’s debut story packs a punch, and it really has you worried for the characters he’s created. This tale has real stakes, and you’re always looking to see what happens next. 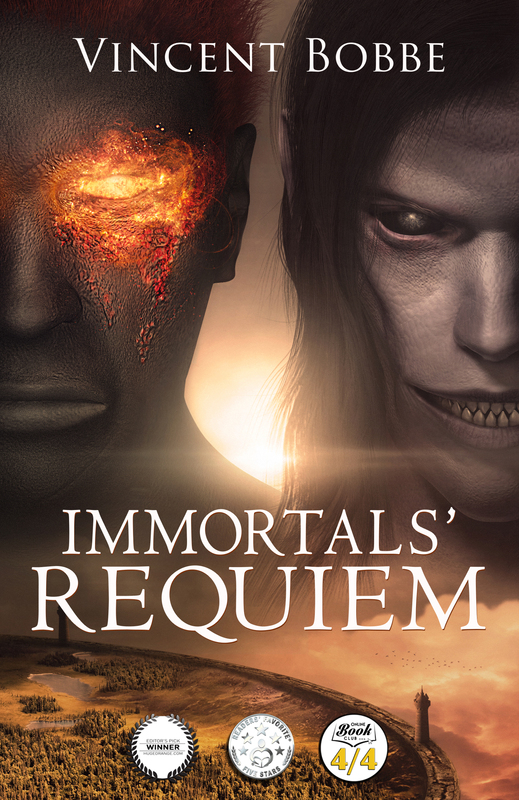 If you like urban fantasy, ravening zombies, terrifying shapeshifters, scheming vampires, and vast supernatural worlds, you’ll love Immortals’ Requiem! Bobbe has amassed a number of great reviews and awards, and this book won’t disappoint. There’s also a special discount launch price (the cheapest Amazon will allow) only available for a limited time. Get your copy of Immortals’ Requiem on Amazon for only 99 cents today! 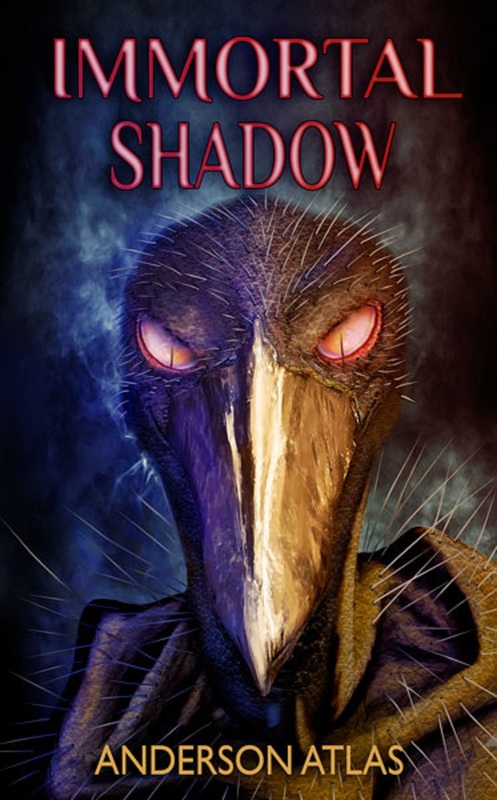 Immortal Shadow is a bit of a darker tale. It’s plenty of fun, and author Anderson Atlas has some serious writing chops. He’s a prolific storyteller, and as time moves forward, you’re going to see the volume of his books expand to an even more sizable collection than what it is now. Check out Immortal Shadow on Amazon today to get started, and say you read Atlas back when he was just revving his engine! Immortal Shadow is worthy of your attention, and after reading it, you’ll be itching for your next trip back to Lan Darr—and any other worlds Anderson creates. 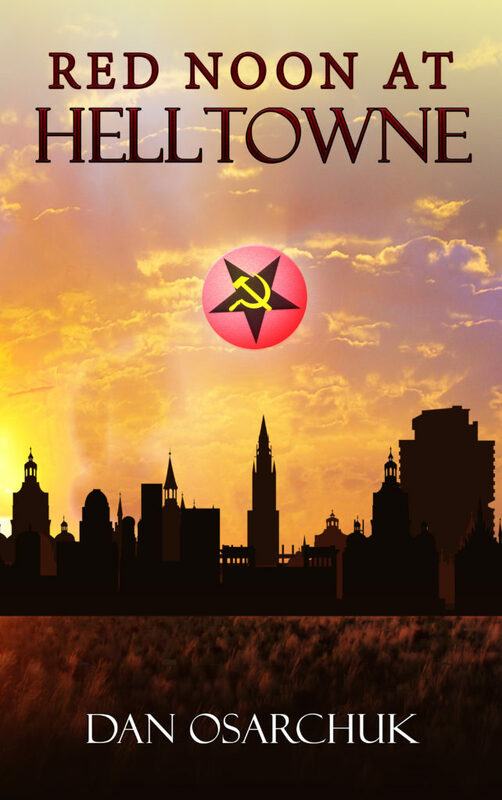 Pick up Red Noon at Helltowne from Amazon and you’ll see right away why Osarchuk keeps plugging away at these books. 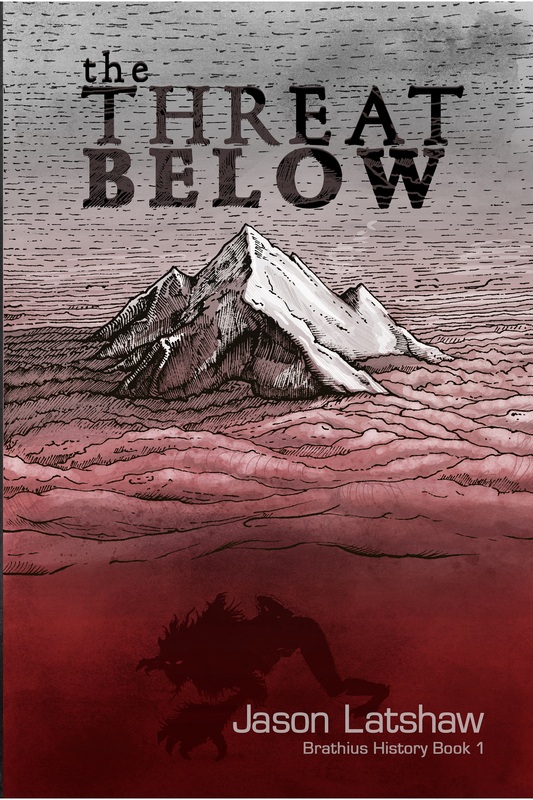 With Jason Latshaw’s The Threat Below, you’ll get a dystopian fantasy that is magical and which will capture your imagination. This book, the first in the Brathius History series, takes place roughly three centuries in the future. Traces of our civilization are still present, but for the most part, things have regressed to a much more primal state. A lot of dystopian tropes are in place, such as the language and a sort of caste system, but they’re all expressed in fairly interesting ways. Latshaw’s Brathius History series is sure to grow (besides this first book, he also has a short story that focuses on a ten-year-old Adorane). In the meantime, check out The Threat Below on Amazon, especially if you’re into dystopian future fantasies. You won’t be disappointed! 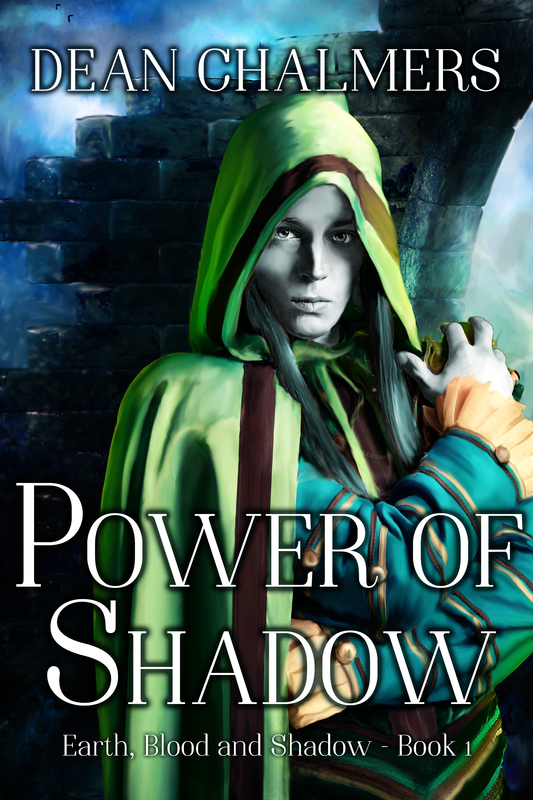 If a balanced, darker story is attractive to you, you might want to check out Power of Shadow, the first book in the Earth, Blood and Shadow series, by Dean Chalmers. It’s dark, as the name suggests, and may even tread the line toward grimness, dance that line and then completely cross it. But at its heart is a story that can be enjoyed by anyone. Chalmers has an interesting written voice, and sometimes that can make all the difference. 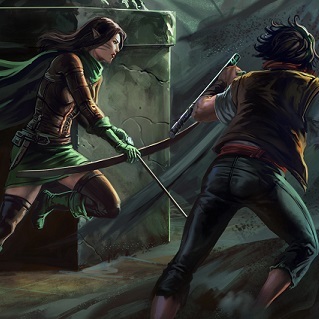 A brilliantly written first-person story, Power of Shadow is a fun escapist tale. Right from the get-go, Phantist is in over his head, and with every turn of the page, you’re that much more excited to see where the story is bound to go. Before you know it, you’re halfway through the book! 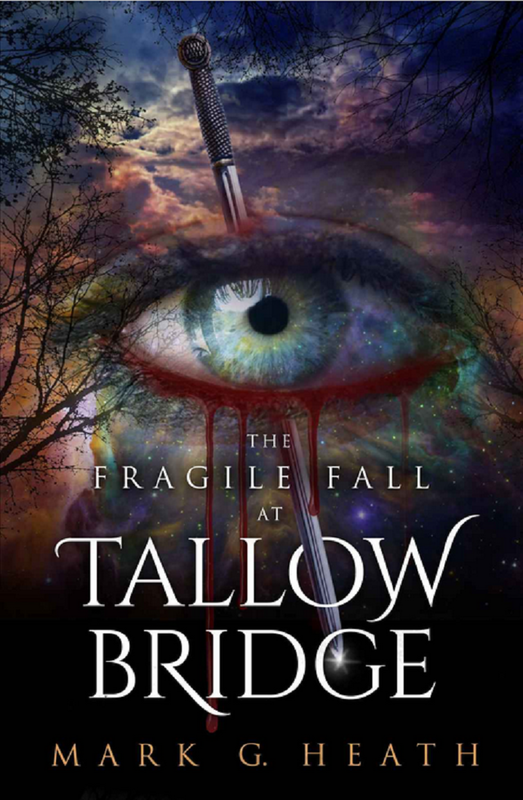 Mark Heath has taken a bunch of perfect ingredients and thrown them together to make his own witch’s brew in the form of The Fragile Fall at Tallow Bridge. The eerie goings-on in the town of Aftlain will become your new favorite thing to read about, no doubt. Heath has already amassed a following of folks who are interested in his story. Should you like to be added to his list of fans, you can find The Fragile Fall at Tallow Bridge on Amazon. Awake by Lana Moon treads an awesome path. The talented Moon has been writing for over a decade, and her own personal experience with “forgotten” places in Missouri and Illinois led to her become an incredible force when it comes to horror and fantasy. And Awake in particular just oozes that eerie dark awesomeness. Lana Moon is an uncanny force in dark fantasy. If that’s up your alley, it really would serve you well to look at her work. Don’t forget to check out Awake on Amazon. Rick Chiantaretto is on fire. 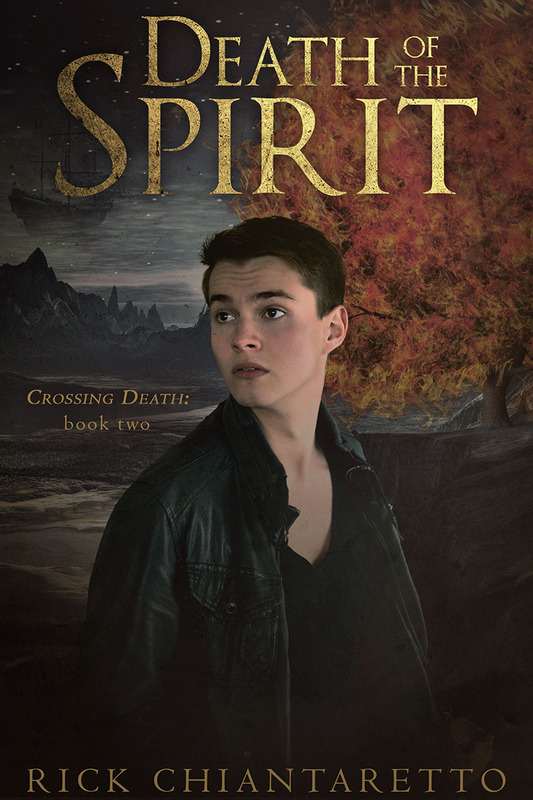 The followup installment in his Crossing Death series, Death of the Spirit continues his well-written path for Edmund, now back in the world of Orenda, where trouble manages to find him once again. Just as in the first book, this installment has a very tightly tuned look at the world that Chiantaretto has crafted. Edmund’s tale is told through a first-person narrative that draws you in completely – the author is a master of the occult, that much you can be sure of. Rick Chiantaretto has developed a truly interesting story about a return from death. His Crossing Death series has expanded, with the second book releasing this month, to high appraise already. And with a fan base as fervent as his, you know it’s a story worth paying attention to. This is the kind of book that speaks to people – it’s magical, intense and mysterious. Rick’s first book in the Crossing Death series, which is currently free, can be found on Amazon. T. L. Wright hass invested a decent amount of time into his world, the dark and gritty Sarin. 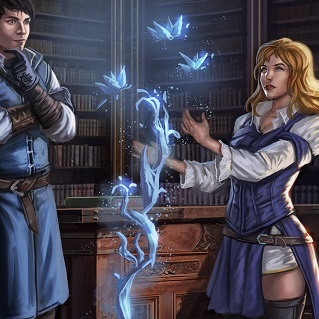 Hollow: Chronicles of Sarin is a little darker than some of the fantasy that you see these days, but it feel like that’s actually a nice little breath of fresh air. Wright’s story moves forward at a brisk pace, and before you know it, you’re reaching the end of the story. Luckily, he leaves it open for a follow-up, which you’ll no doubt be looking forward to. Dark of Night is Marios Savva’s first novel in his Man from the Yard series. Sheriff Blakemoore has some history in Scotland Yard, and he brings his expertise to the United States. Of course, things go awry, and he might learn that the town of Whitesands is more than what it first appears. Though this is Savva’s first time writing fiction, he has plenty of experience with writing, primarily dealing with psychology. 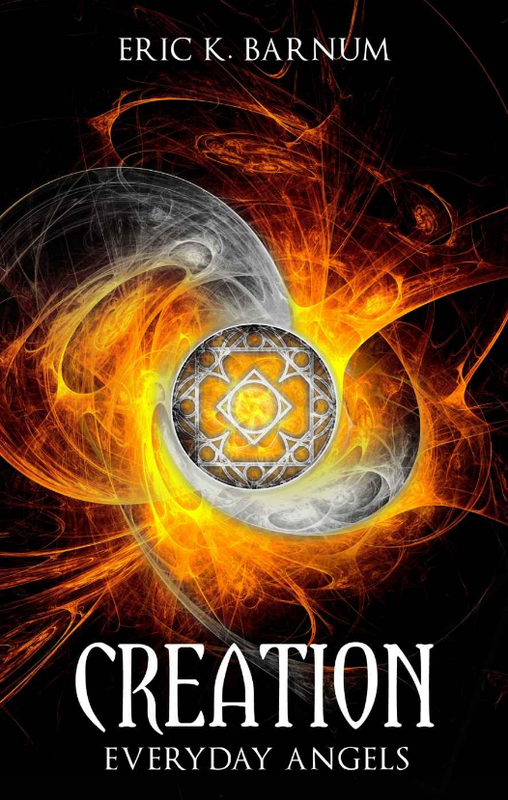 If you’re interested in this great Supernatural title though, take a look at his book on Amazon. You won’t want to miss this great read. 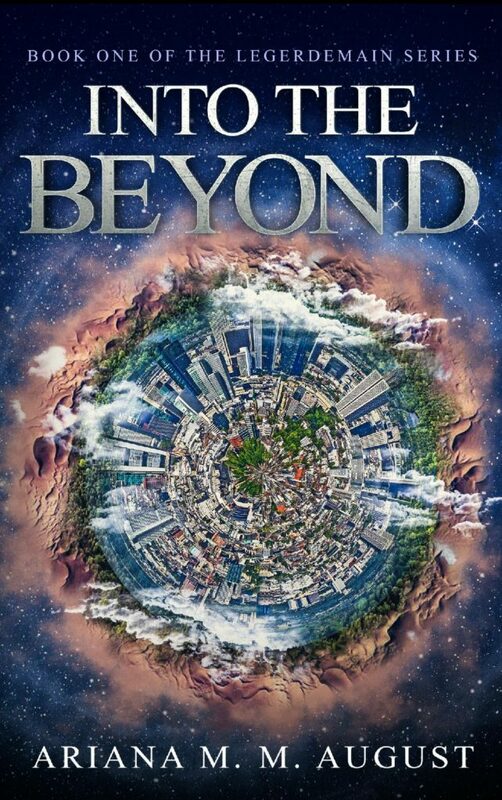 Check out Into The Beyond on Amazon today! 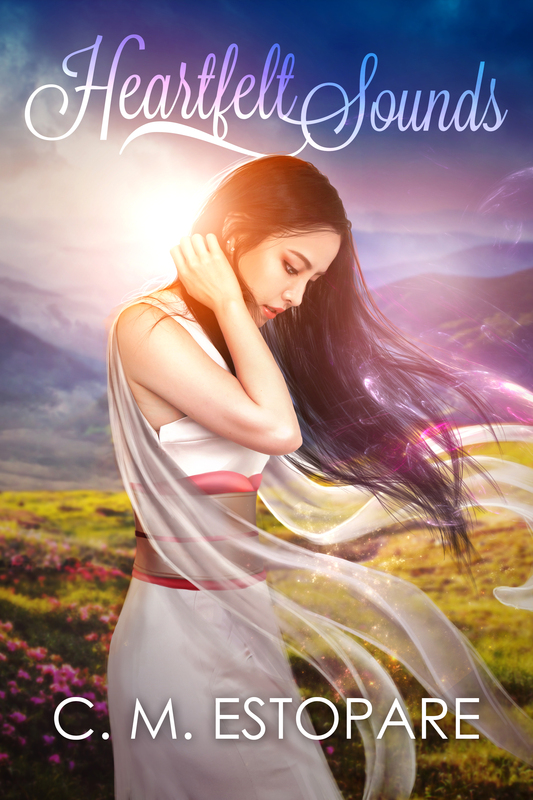 Shieldwolf Dawning, by Selena Nemorin, is the tale of two siblings who are brought to another world that is very unlike their own. What they once thought was home was a planet very much like ours, with high tech weaponry, robotics and other amenities that we take for granted. But that world is tainted, and the new world is so fantastic. Shieldwolf Dawning definitely goes beyond the traditional fantasy/sci-fi as well. The author has a background in philosophy, and it transcends to her work. Samarra and her brother make hard choices, which aren’t the typical ones you’d see your characters faced with in a tween-friendly novel, but it works in a grand way. 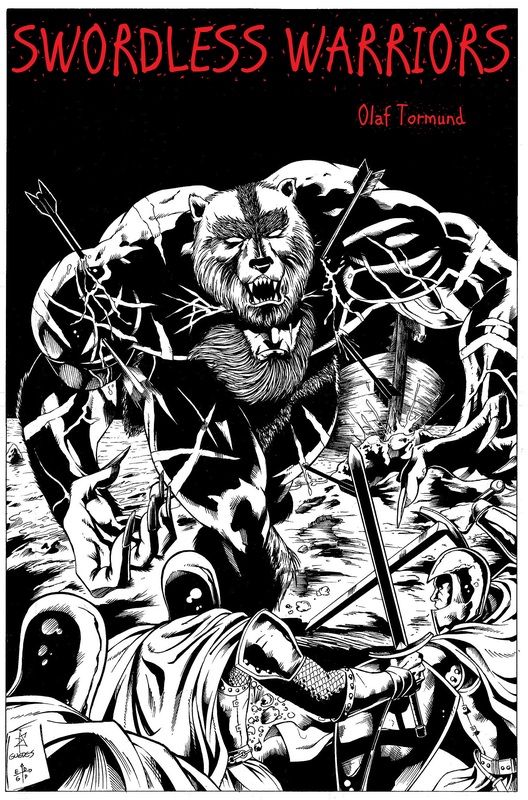 Rough and bloody, Olaf Tormund’s Swordless Warriors tells the tale of ravagers from the north, and their invasion. More importantly, it goes into darker territory when it introduces the mythical berserkers, with their superhuman strength. Introduced as villains, these vikings become interesting and relatable as the story progresses. With a unique style, Swordless Warriors delivers you into a world that makes you feel as though you’ve traveled somewhere else. It’s historical fiction that’ll get your blood pumping, and before you know it, you’ll have raced through its pages. Lory La Selva Paduano has constructed a story with a great hook that is definitely not Alice’s Wonderland. 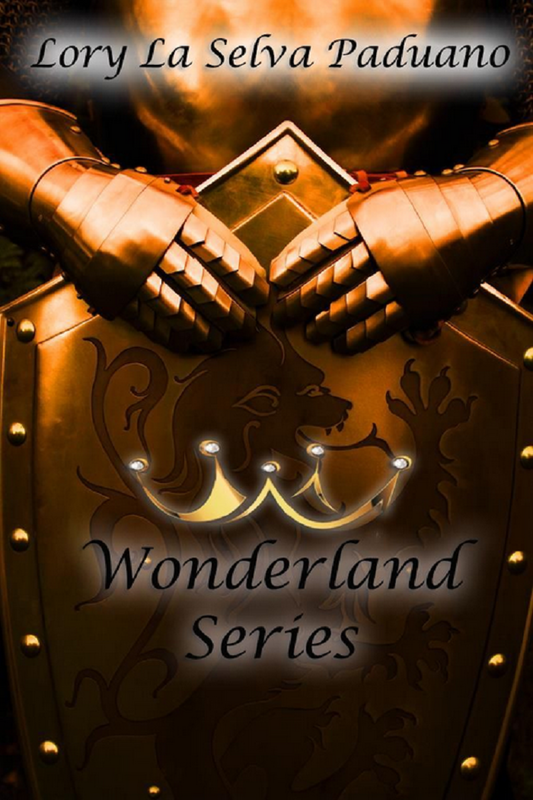 Her Wonderland Series has recently released as one collection, with the paperback set coming soon. Eschewing the idea of telling the tale of Alice once again, La Selva Paduano’s Wonderland takes on a life all its own. With an abundance of interesting characters and a vastly built world, this bundle is sure to grab your attention early and keep it in its grasp. It has charmed a lot of people already, and no doubt it’ll grip you as well if you decide to pick it up. Nicola E. Sheridan, the best selling author, is releasing The Chronicles of Lady E in October. She’s already got a huge following, and she’s hoping to add you to that growing number. This particular book is the introduction to a new series by the prolific storyteller. Though the book isn’t coming out until October, Sheridan is offering up a pretty great deal leading up to the pre-release. 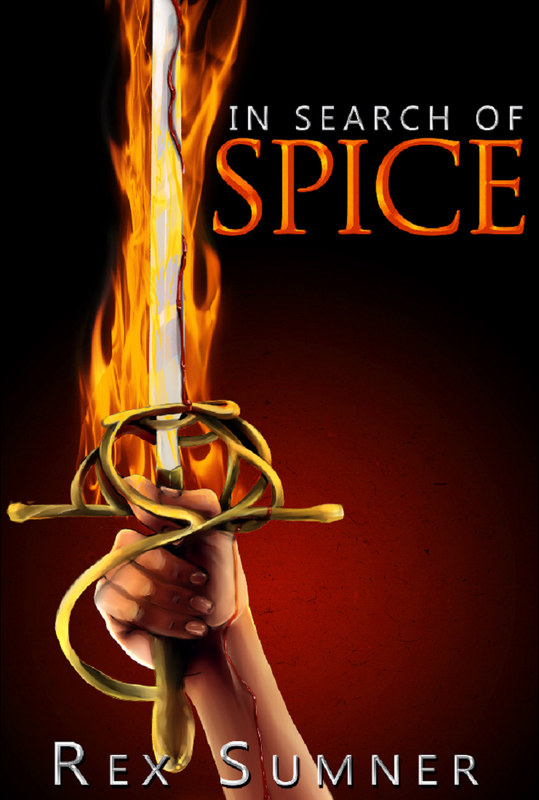 In Search of Spice is the first novel (of epic proportions, I might add) in Sumner’s Harrhein series. In it, we follow the adventures of the crew of The Queen Rose. It’s an ensemble piece that flows deftly from page to page, and catches your interest from the very first turn. Sumner has been working his tail off for some time, and you can tell that In Search of Spice is the fruit of his labor. If you’re interested in a good swashbuckling tale, you could do a lot worse than this gem. 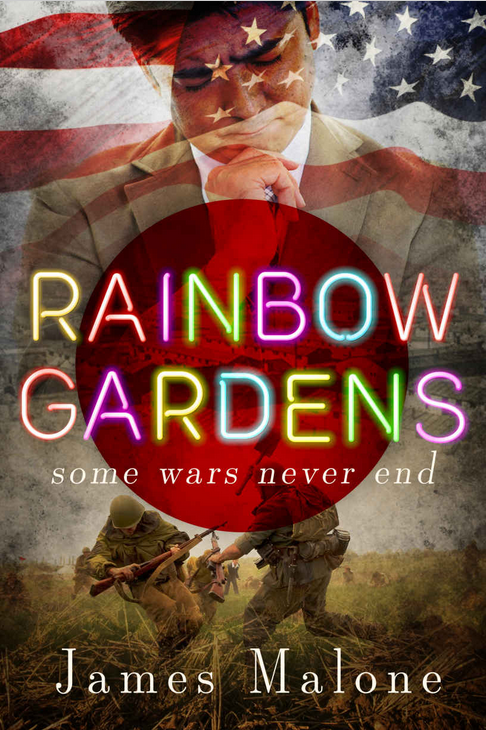 James Malone’s Rainbow Gardens is that kind of story that needs to be told. It’s helps to tell an important part of American history, and it also slides in an appropriate amount of fantasy that gives it just the right flavor. It all stems from a basic thought: After the Japanese Internment, can Harry Shikita ever forgive the trolls who put him there? James is no stranger to the written word, having experiences in advertising, communications and public affairs. You can download the eloquently crafted Rainbow Gardens from Amazon. 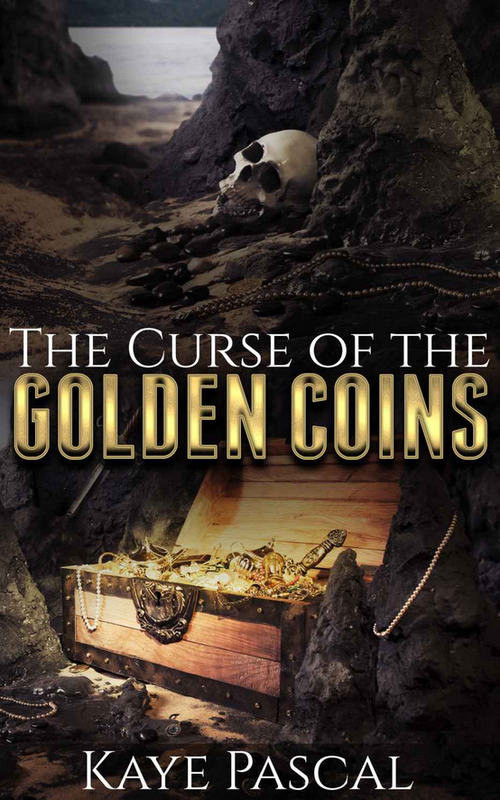 The Curse of the Golden Coins by Kaye Pascal takes a more contemporary turn in fantasy, and delivers something that feels like a good old fashioned Goonies adventure. The protagonist Del, is a 23-year-old who had served in the Union Army during the Civil War. He believes a lost treasure that will make him a fortune. His treasure reveals a world of magic that leads him on a fast paced adventure. Del is joined on his adventure by his friend Sawyer who is an ex-slave, as well as a new friend, Willow. Beneath the layer of a fast paced adventure is the story of friendship. As magic and myth unfold, the three friends work together to save Del from the curse of the golden coins. 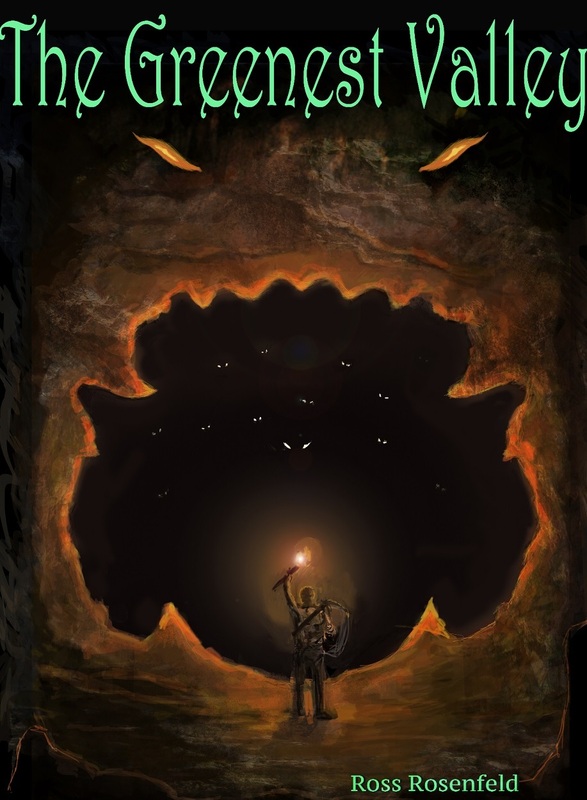 It is not the predictable story of a lost treasure that has been tried over and over again, but a unique historical fantasy adventure that has twists and turns until the end. A good mixture of historical adventure with a dash of supernatural elements and a sprinkle of fantasy makes for an exciting read. 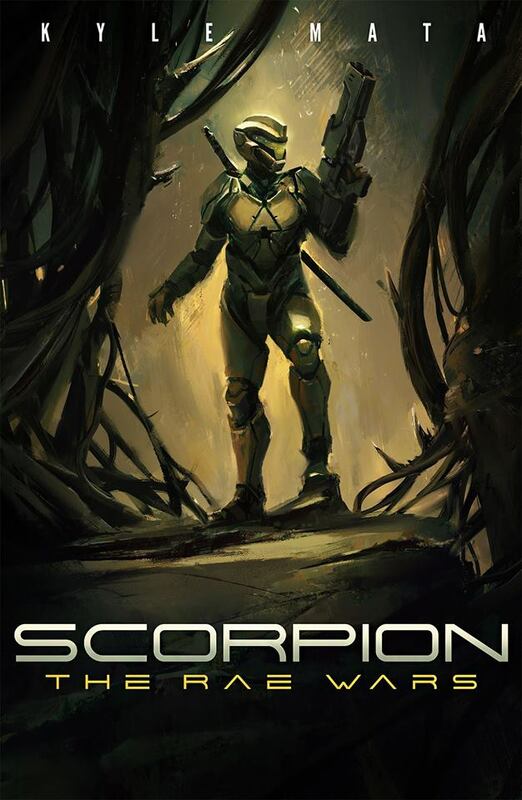 Kyle Mata’s first sci-fi book, Scorpion: The Rae Wars, launched this month, and it is a wonderful introduction to the literary universe that he’s crafting. Once you pick up this sci-fi debut, you’ll be certain you’ve found a dependable storyteller, and you’ll be eager to continue exploring the Scorpion Universe. As of this email, Mata has a flawless five-star rating across this book and an earlier military fiction he wrote years ago that also stands the test of time. With a universe that promises to be plenty robust, now is the perfect time to get in on the ground level. Check out Scorpion: The Rae Wars on Amazon today! Also, get a sneak peek of the audiobook now—you won’t be disappointed! 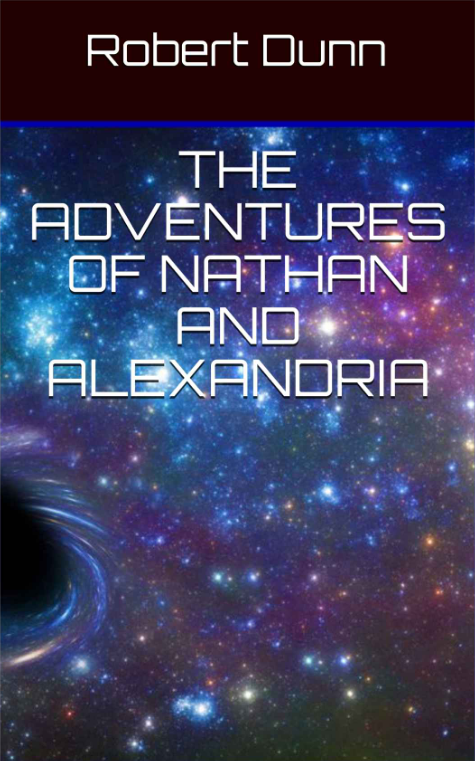 Newcomer writer Robert Dunn has recently released The Adventures of Nathan and Alexandria. It’s a fun little portal adventure for young adults that marries sci-fi and horror in some fun ways. It’s a bit of a challenge to write a sprawling story in less than ten pages, but Dunn certainly builds up his worlds in fun chunks, and he leaves plenty of room to come back to concepts and plot points later on as well. It’s certain that there’s more of the story yet untold, and if you enjoy this brisk read, you’re sure to be eager to see more. The Adventures of Nathan and Alexandria is a brief but strong start for Robert Dunn. It puts things in place that you’re sure to find interesting, and it’ll definitely have you wondering what’s coming next, and what could change between this tale and Dunn’s next. It feels like this is just starting to scratch the surface, and you’ll no doubt be itching for a follow-up. But to start things off, be sure to check out The Adventures of Nathan and Alexandria on Amazon today! Whether you like Star Wars or Star Trek or any other sci-fi mainstay, you’re sure to find something you like within Connor’s Gambit. Z Gottlieb juggles a lot of pieces of the book to deliver something that feels like a perfectly realized tapestry. It’s funny, it’s smart and it’s well-realized. Most importantly, though, it’s believable. You’d be forgiven if you thought there was some way that Gottlieb saw into the future, because Connor’s Gambit never strays too far from reality. It’s science fiction, sure, but it feels genuine. It’s also the start of something that you can feel is going to be big. 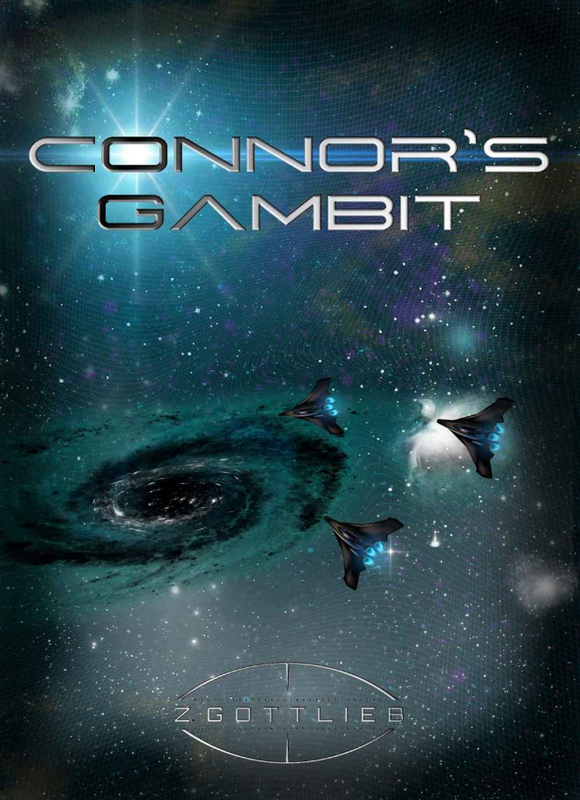 Connor’s Gambit is a wonderful space opera that you won’t be able to get enough of. It’s fun, it’s a page-turner like you’ve never seen, and it’s massive. Gottlieb creates a universe that you can’t wait to explore, and frames it in a way that is unbelievably entertaining. There are over 100 reviews on Amazon, and the majority of them are overwhelmingly positive. Join the crowd, and read this fantastic science-fiction novel. Check out Connor’s Gambit on Amazon today! Of Zots and Xoodles: Theodil Creates a Universe is not your typical science fiction book. 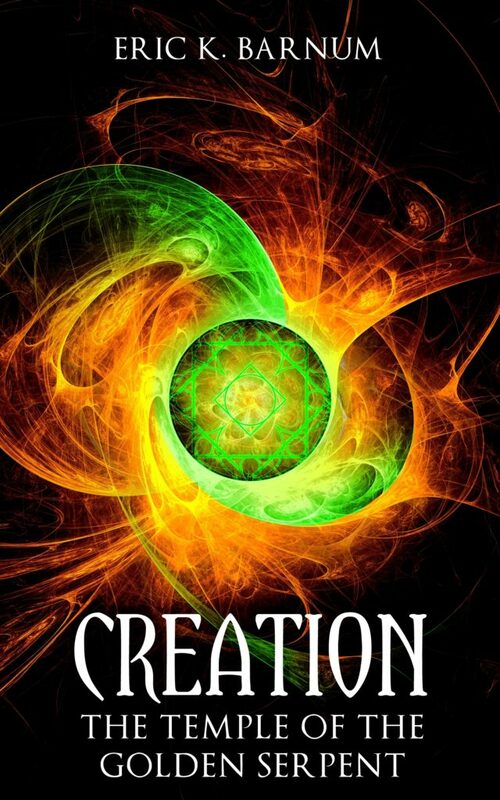 It’s an interesting new way of looking at the creation of our universe. Zarqnon the Embarrassed is quirky with his prose, and I’ve seen a great description that sums up this fantastic book in a lovely way: It’s like the Big Bang meets Dr. Seuss. It really is like nothing I’ve ever seen before, but it’s filled with such heart and whimsy that it would be a crying shame if you didn’t get a chance to check it out. If you’re on the lookout for a quick-witted and quirky story, this is up your alley. If you’ve often wanted a hilarious, abstract way to describe the creation of our universe, Zarknon the Embarrassed has you covered. This short is so lovingly crafted, and it’s filled to the brim with clever thoughts and concepts, you really can’t go wrong. 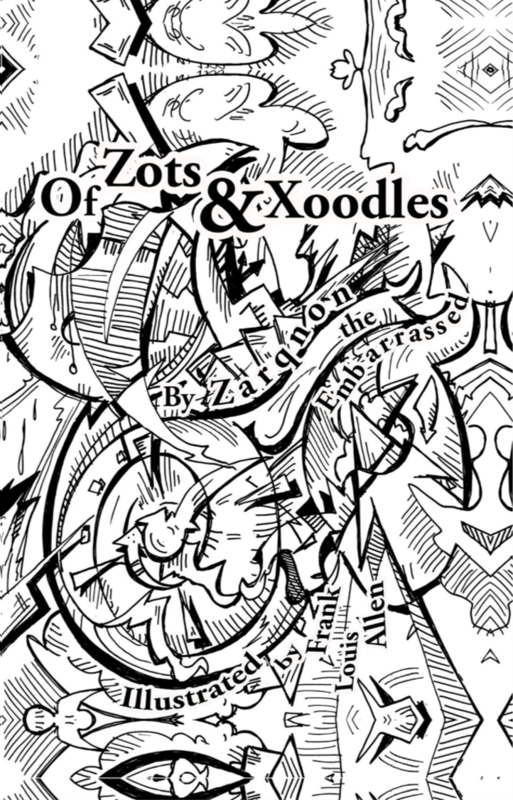 Check out Of Zots and Xoodles: Theodil Creates a Universe on Amazon today! In Extinction Reversed and the series it is part of, the characters you’ll become attached to are the robots. This book is pure, hard, euphoric science fiction at its best, and J.S. Morin makes short work of showing why he’s among the best suited to write it. The story follows Charlie7 in an unbelievable journey of ethics, exploration and restoration. Humanity has fallen, but perhaps there is a way to bring them back. There’s no storyteller who could tell it better than Morin. 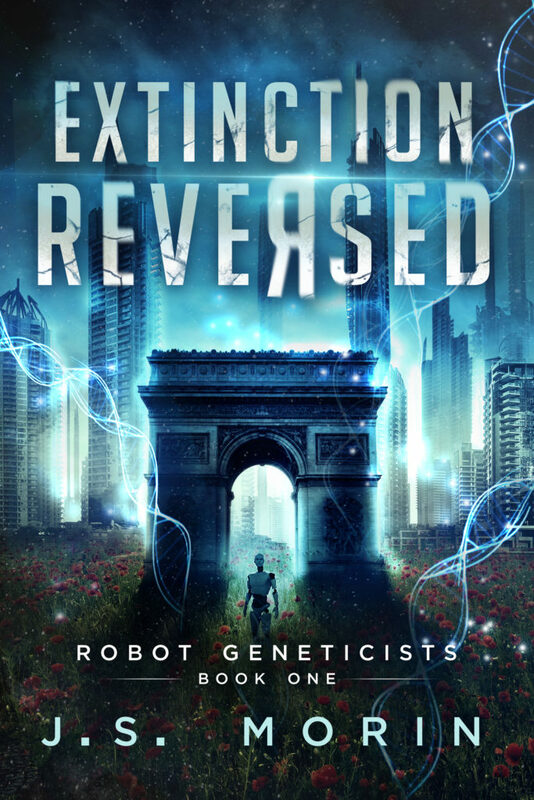 Extinction Reversed is the kind of book that epitomizes the science-fiction genre. It’s a great story, written extremely well, with characters who you yearn to learn more about. You want to join them on their journeys of understanding and personal reflection, amidst all the realizations and dangers that the world throws at them. What are you waiting for? Pick up Extinction Reversed on Amazon today! 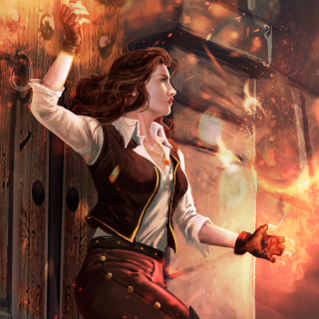 The Black Ocean series is as close as you can get to a mashup of Firefly and awesome fantasy. It’s driving force is the characters, which you’ll grow to adore. The crew of the Mobius—and the people they meet up with—will stick with you long after you’ve raced through your first read of each of the stories. And you will rip through these before you realize it! 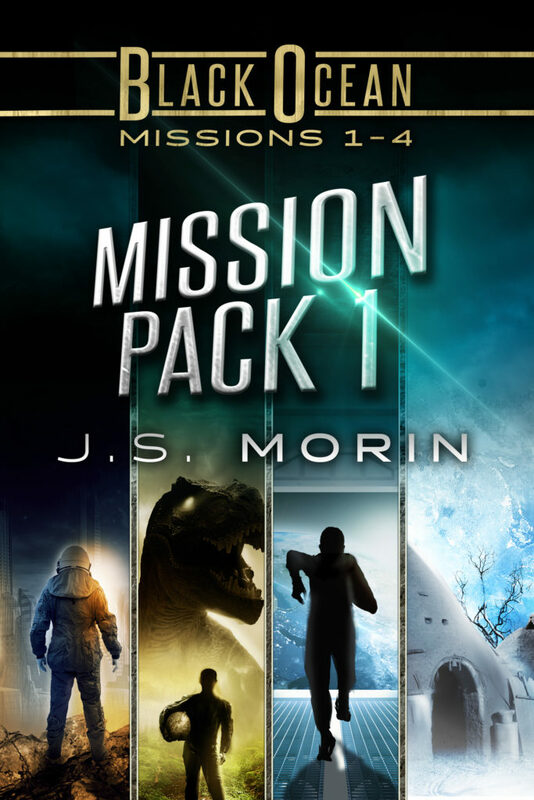 This Mission Pack is a wonderful selection of Morin’s stories from the Black Ocean series. Morin is as prolific as they come, having written a score of books, with more on the way. If you want to meet a new favorite author, look no further than this. There’s no better time than now for you to get these four stories either, as the author has dropped the price to 99 cents for a limited time. Pick it up on Amazon today! What’s better than one great science fiction story? How about four great ones? J.S. 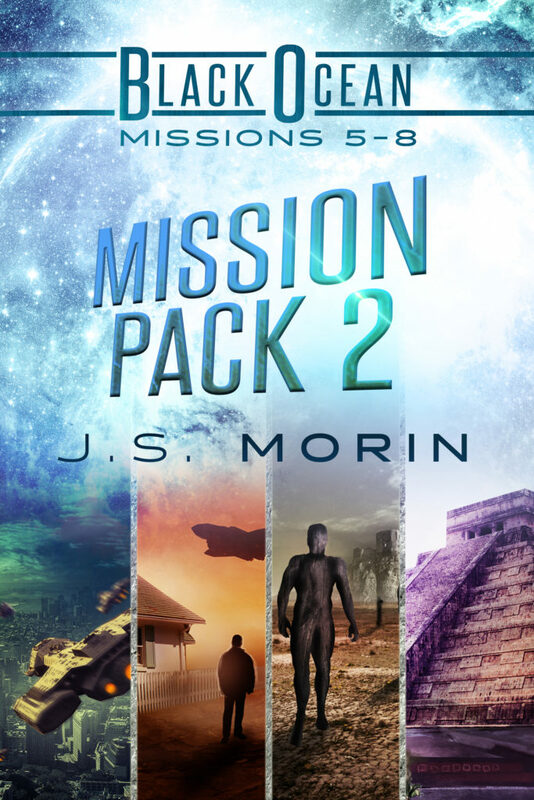 Morin’s Black Ocean Mission Pack 2 is a great entry point into this expansive series. With a score of books under his belt, Morin makes the rest of us writers look like goobers. Morin is definitely a friend of ours, and we’re happy to see that he’s still cranking out incredible books. Mission 5 is another perfect entry point to the series, even if you haven’t read from mission 1 on. And with the 9th one recently released, Black Ocean is a saga you just can’t miss. Pick up these four great stories today! Bryan Barton has burst onto the scene with his world-changing Darkleich Files, an explosive science fiction series that begins with The Raptarian. Though it’s only a debut tale, this book has the feel of something meatier—something with presence. Taking place over half a millennium in the future, Barton has had an entire universe to play with, and he’s made some sweeping and awesome changes to what we know, and what is bound to be. The author isn’t shy about twisting what you think you know about a character, and that gives it even more oomph as you dig deeper into the story. Barton cares dearly for this new series he’s beginning, that much is clear. Some people are satisfied to create one world—Barton’s set up his lexicon for fifteen. Perhaps just as important, he’s also developed characters you grow attached to. If he can do what he does here again, he’s bound to receive a wave of fans in the near future. 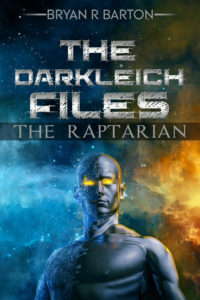 Check out Darkleich Files: The Raptarian on Amazon today. 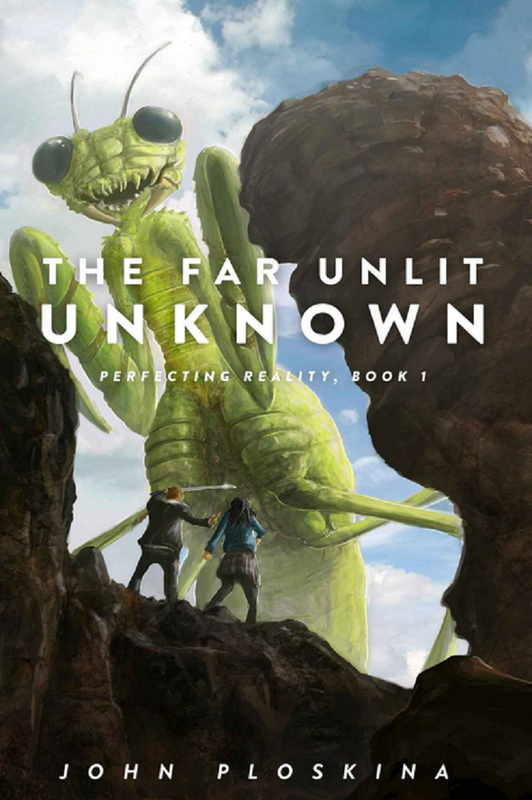 John Ploskina crafts an excellent tale with The Far Unlit Unknown, the first book in his Perfecting Reality series. It has the perfect mixture of intrigue and suspense, and it comes together in such a way that you’ll be done reading it before you know it. And I am in love with the cover – it has that awesome old-school science-fiction flavor to it. If you’re interested in Ploskina’s work (and you should be at this point! ), you can check out his work on Amazon. It’s being offered up at a fantastic price, so there’s no better time to buy! The End of the Computer is well-written and well-told. At a point in our lives when computers and phones are getting smarter and smarter, the thought of artificial intelligence is giving way to something that can be described as “hyperintelligence.” It would be possible to create an artificial being who could possess all the best traits of both humanity and computers. But at what cost? The best part is that you can feel the tug of whatever is behind the curtain. Is this book fiction? Is it a premonition? Is it actually cataloging events that have already occurred? You’ll just have to buy the book to find out! You won’t be disappointed. 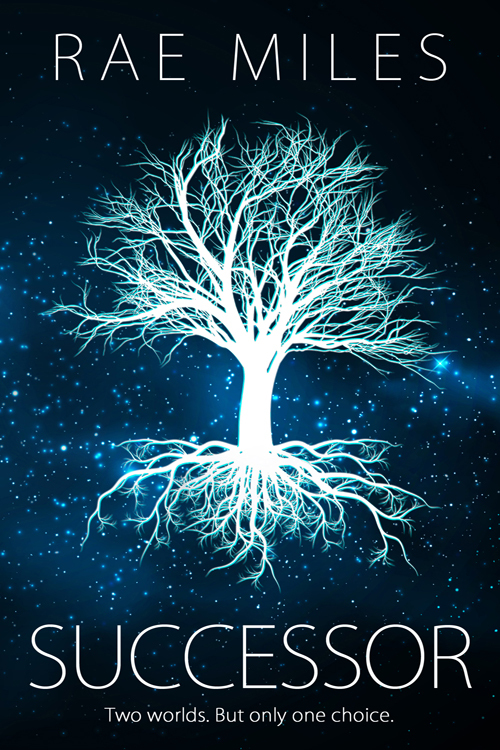 Mark of the Hero is a great introduction to the LitRPG genre, and to C. Wintertide’s writing. It’s fun and airy, but it also packs a punch, and has a deep story to it. There’s some familiarity to it, certainly—some nods and hat tips that people who have grown up enjoying sci-fi and fantasy will love. But there’s also deeper lore and important character development. And it’s all wrapped with a ribbon that requires game logic to unravel properly. If you’re looking for an entertaining ride in an LitRPG book with some real stakes, Mark of the Hero is up your alley. The danger is real for Luke and his friends, making this more than just a game. C. Wintertide did a phenomenal job putting a balance to the different elements of this book, and you’ll be itching for the followup. 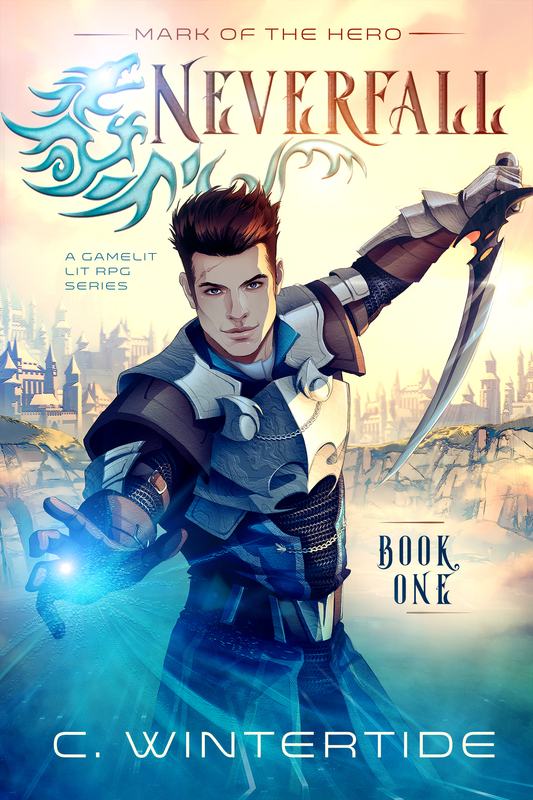 You won’t have to wait long, because book two of the Neverfall series is coming out in late January. 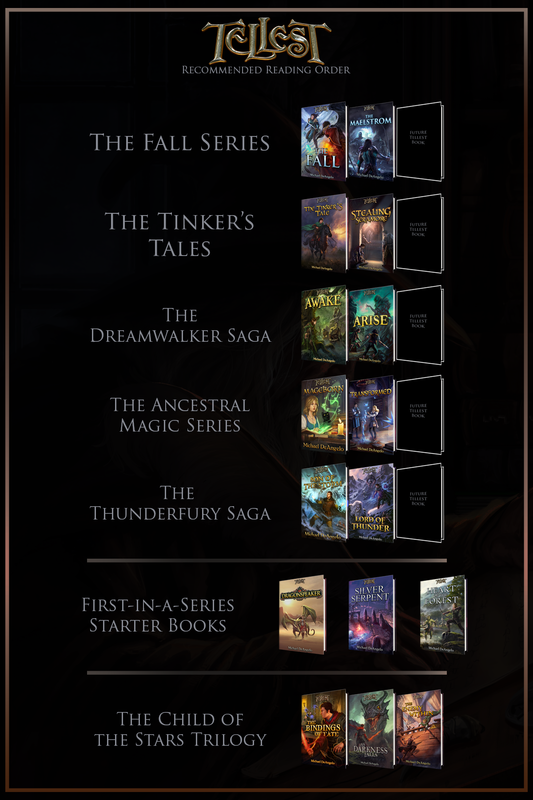 For now, dive in and check out Neverfall: Mark of the Hero on Amazon! Thank you so much! We’ll do what we can to make you proud!